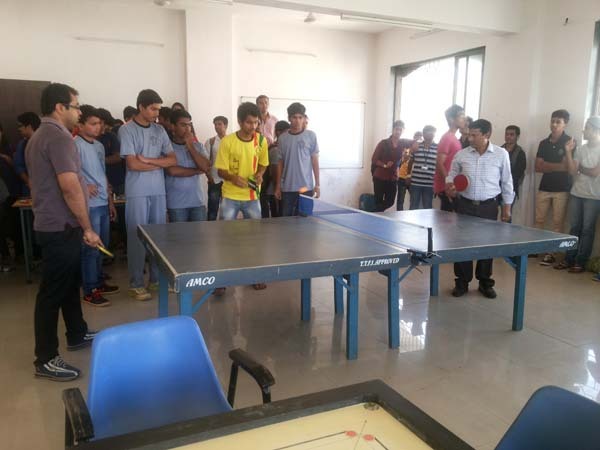 Chief guest: Mr. Sunil Chaturvedi, Director, Pharma Network (SPPSPTM) & Advisor Marketing (NMIMS), Mr.Subodh Priolkar, CEO, Wincoat Colours and Coating Pvt Ltd., Ms.Siji Varghese, TEDx Speaker and Behavioural Transformist. 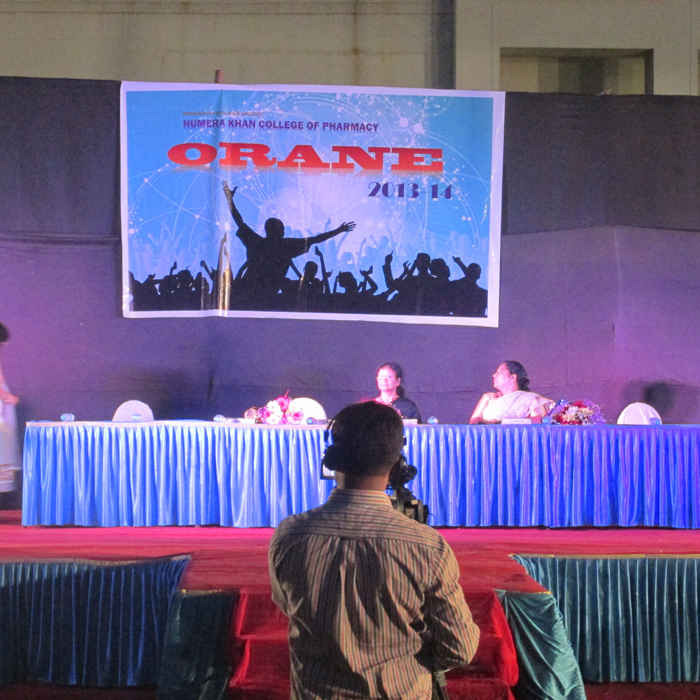 “Convocation ceremony” is one of the most awaited ceremony for all, especially the graduate students. 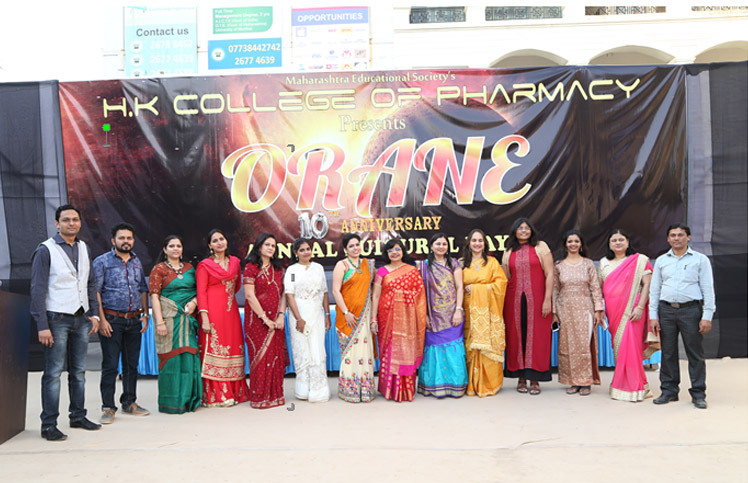 Total 60 students cleared their Pharmacy graduation in 2018, out of which 20 students along with their family were present for the ceremony. 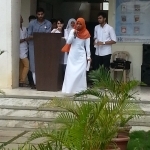 The ceremony started with the procession of the graduating students, who were allined behind our honorable guests. 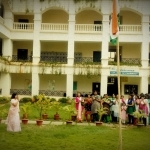 The programme started with lighting of the lamp and ringing of the bell. 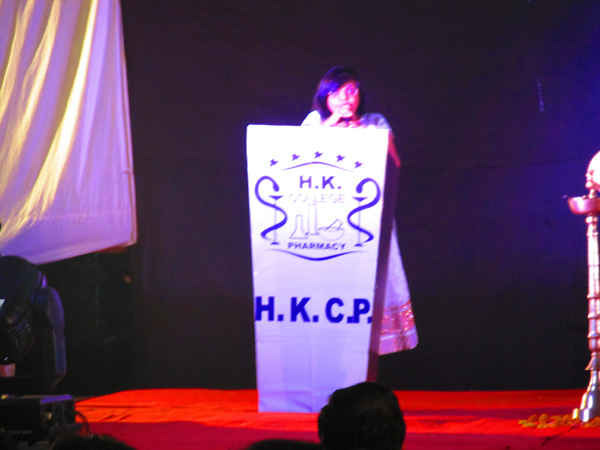 Introduction of chief guest was done by Dr. Anubha Khale. 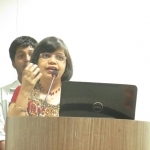 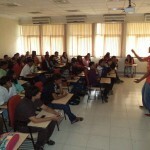 The students and the audience were inspired by speech of Ms. Siji Varghese. 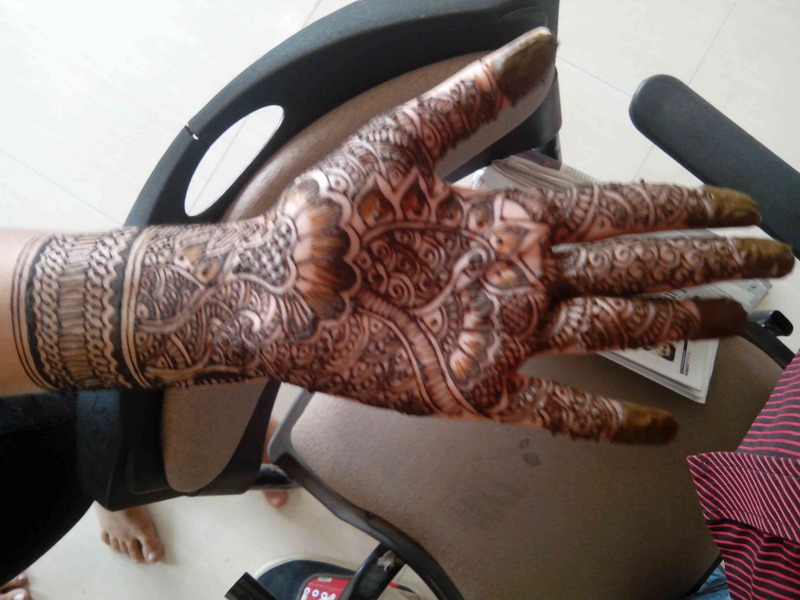 She explained that no ties can ever hold an individual. 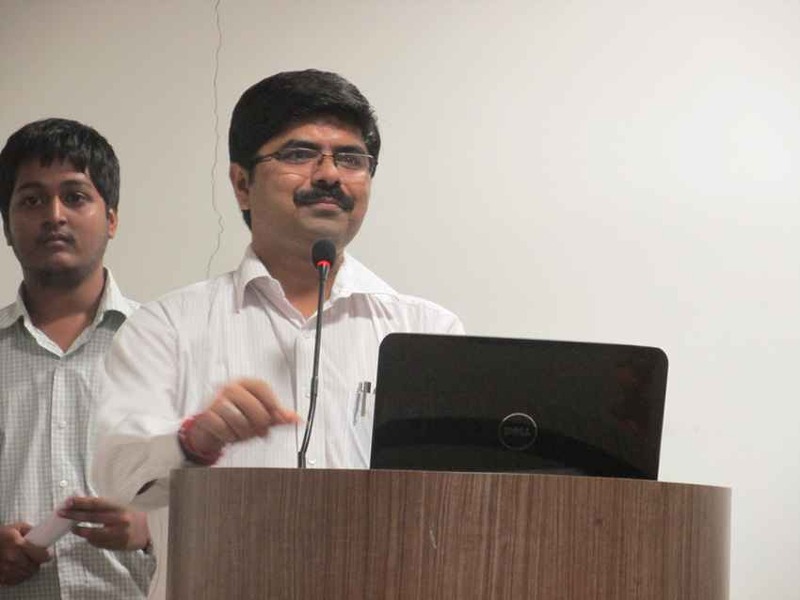 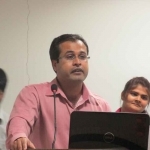 Guest Mr. Subodh Priolkar, shared his views regarding the impact of education in our country. 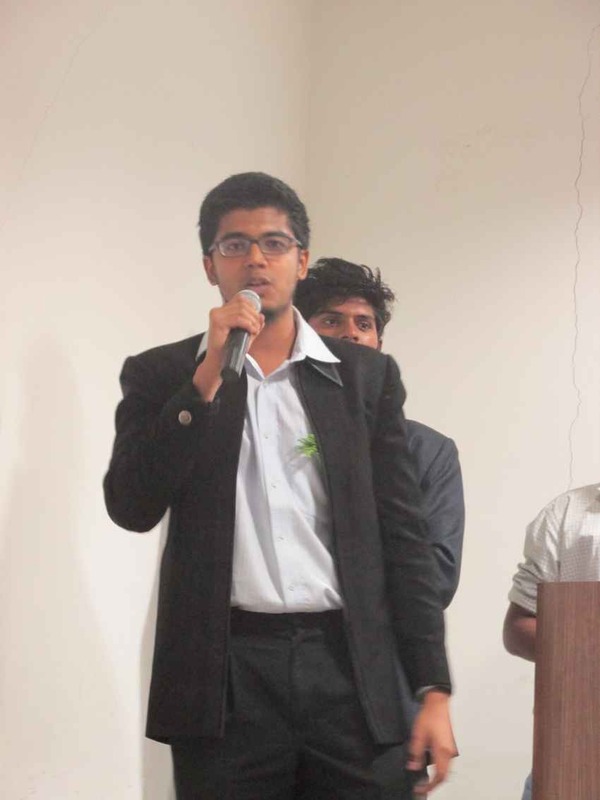 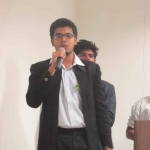 He addressed students about the current situation of industrial growth in global market. 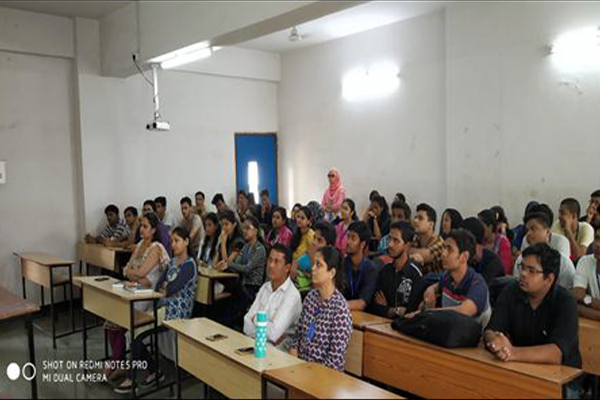 Mr. Sunil Chaturvedi advised the graduate students that they should respect their parents because they are one who sacrificed their dreams so that your dreams come true. 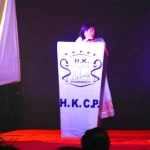 Prof. Dr. Vinaykumar Velingkar has given the words of encouragement and motivation to the graduating students of HKCP. 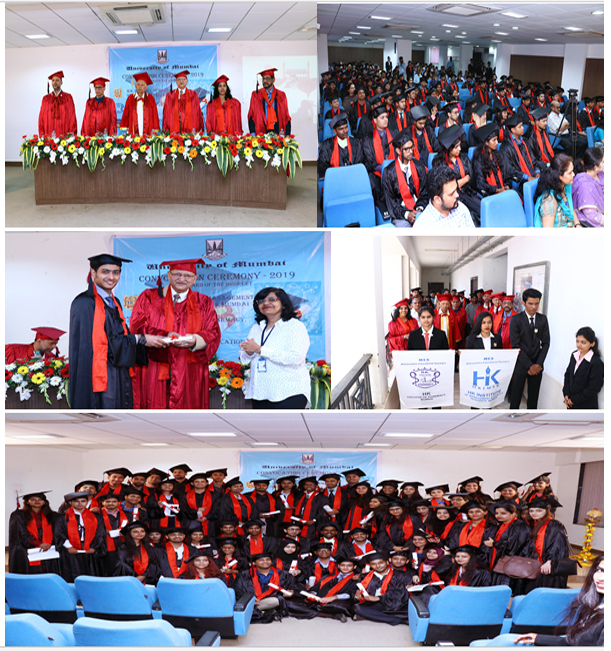 This was followed by the ceremony of conferring the degrees to HKCP, HKIMSR and HKCE. 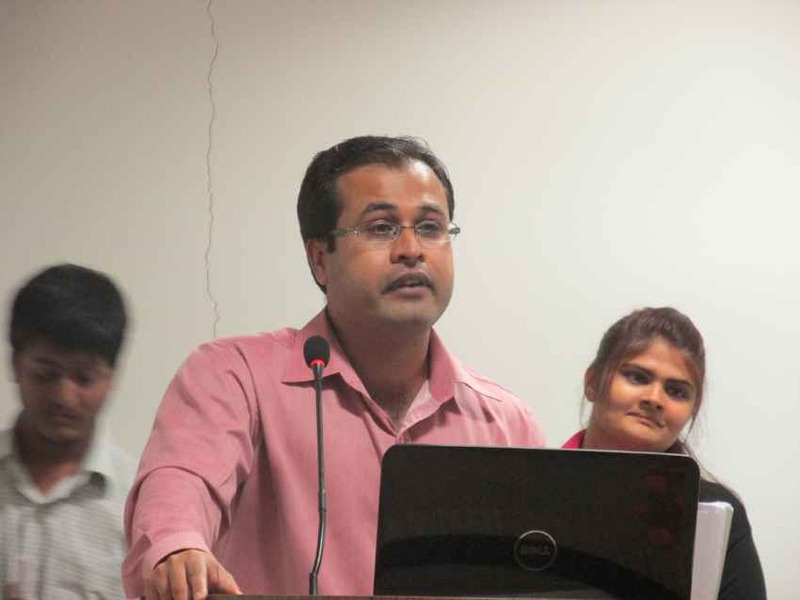 A common oath was read by Dr. Vinay Kumar Velingkar (Technical director HKCP) and it was followed by all graduating students. 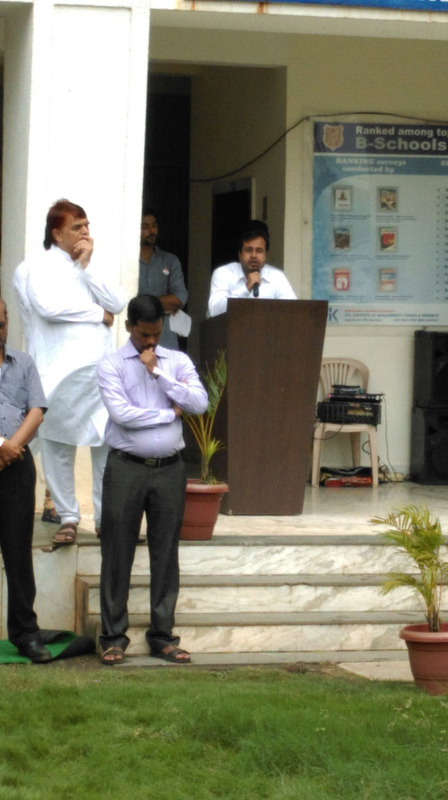 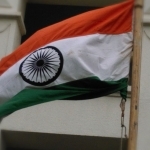 The ceremony was ended by vote of thanks followed by national anthem. 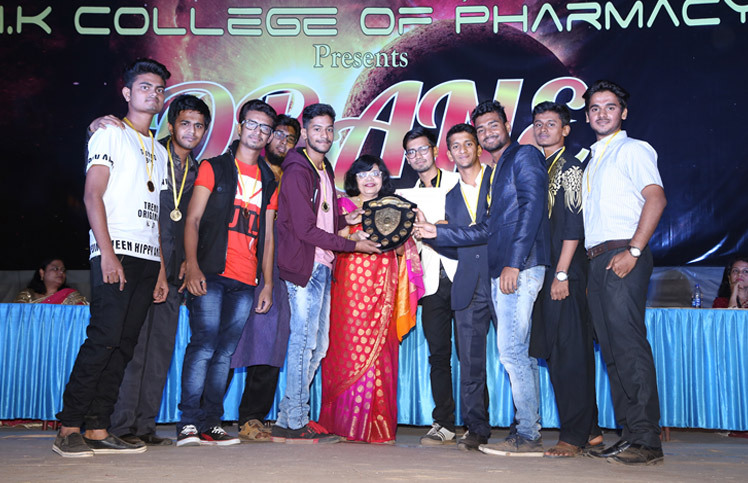 Chief guest: Mr. Ketan Dhamanaskar, General Manager, Zoetis India Ltd.
H. K. College of Pharmacy celebrated 12th Annual day, on 13th February 2019. 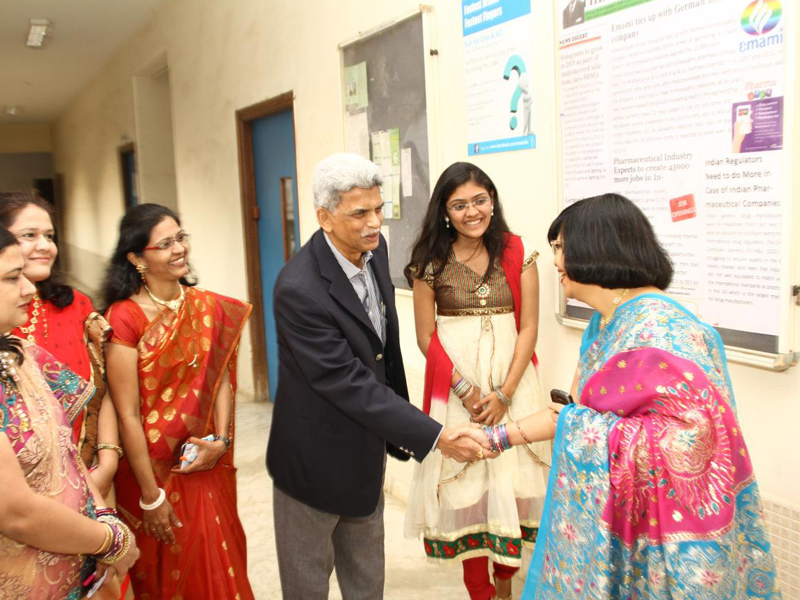 The event was graced by the Chief guest, Mr. Ketan Dhamanaskar, General Manager, Zoetis India Ltd and guest of honor, Mr. Satish Kakodkar, Regional International Director-South Asia, Teledyne Hanson Research. 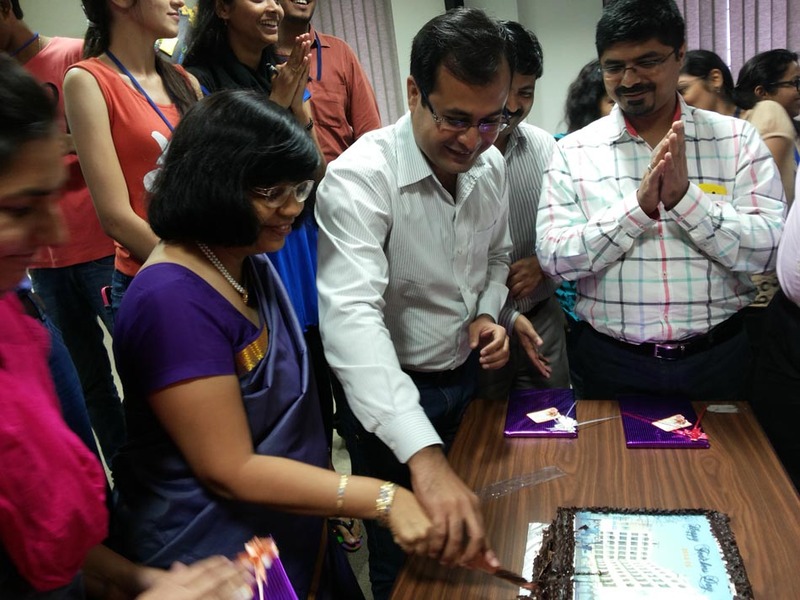 Guests were welcomed with a floral bouquet and felicitated with a memento by Technical Director, Dr. Vinaykumar Velingkar and Principal, Dr. Anubha Khale. 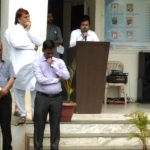 The Chief Guest and guest of honor shared few words of experiences with the students. 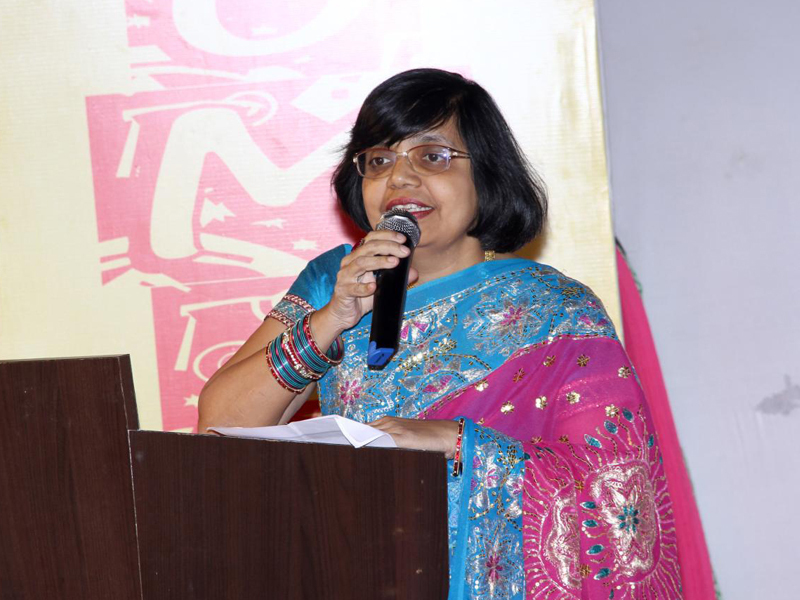 Principal, Dr. Anubha Khale presented the annual report for the academic year 2017-18. 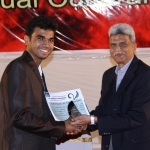 The 9th edition of college magazine ‘Impulse-19’entitled “Cardiology……Science of 0.8 second”. 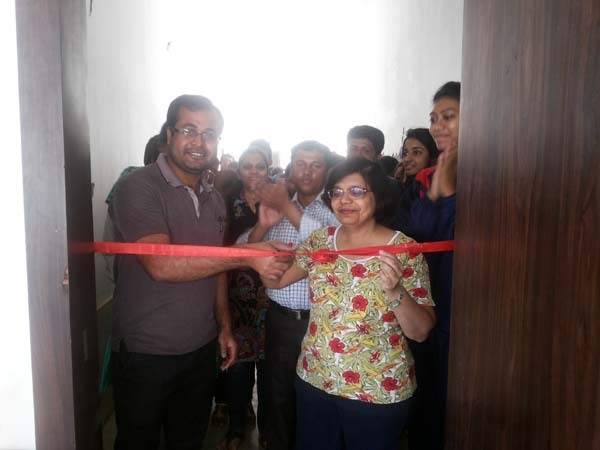 was inaugurated by Chief Guest, Guest of Honor, Technical Director, Principal, Vice Principal and Magazine committee members of the institute. 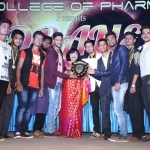 Prize Distribution ceremony was held wherein trophies, medals and certificates were given to the toppers of 17-18 batch and winners of Sports, Cultural, Co-Curricular and Extra-Curricular Activities. 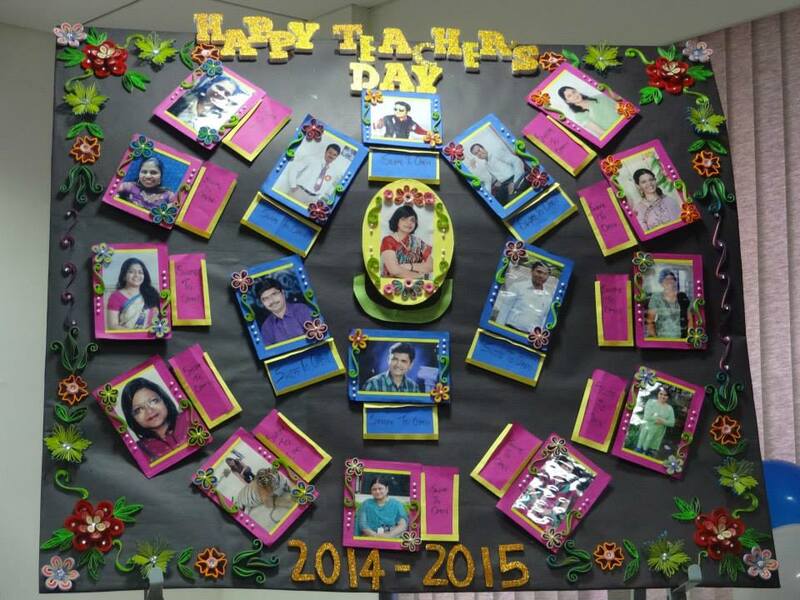 Best Class award was given to T.Y. 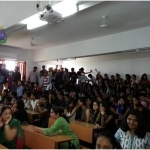 B. Pharm class. 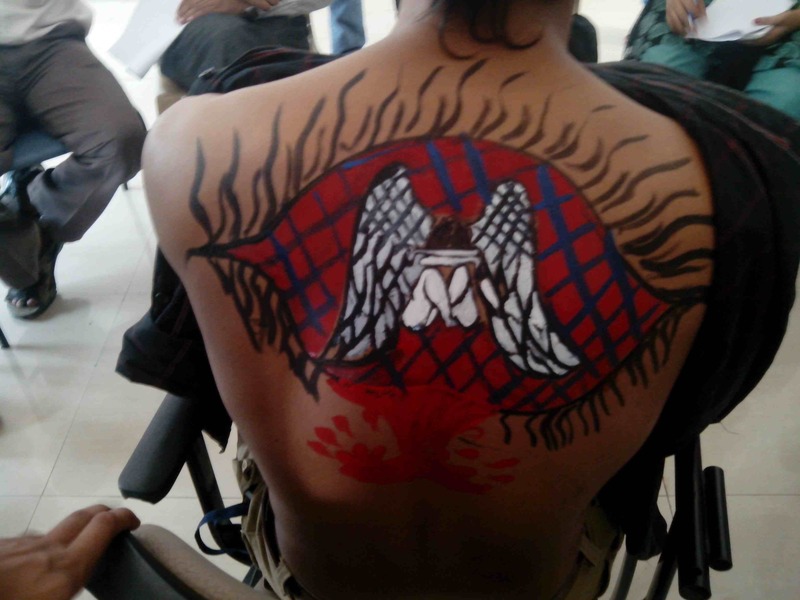 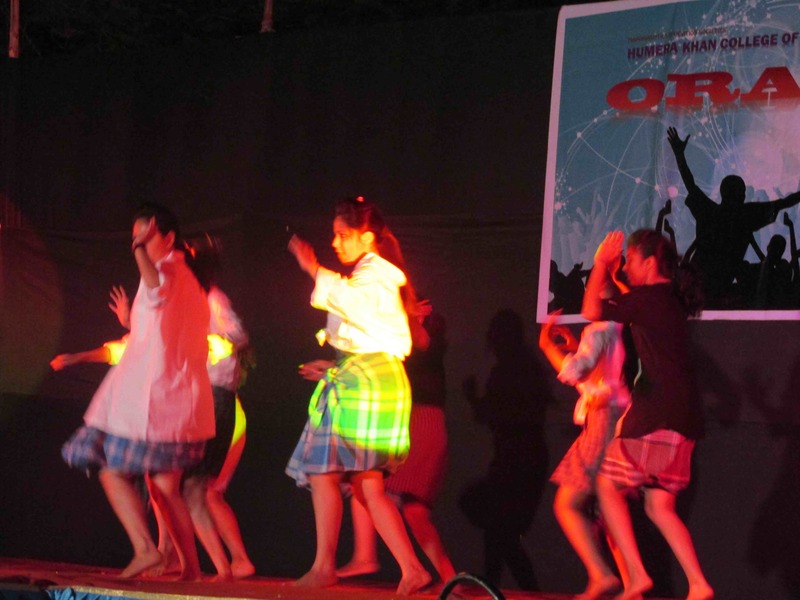 This was followed by Cultural events like solo dance, group dance, duet dance, fashion show, singing, skit etc. 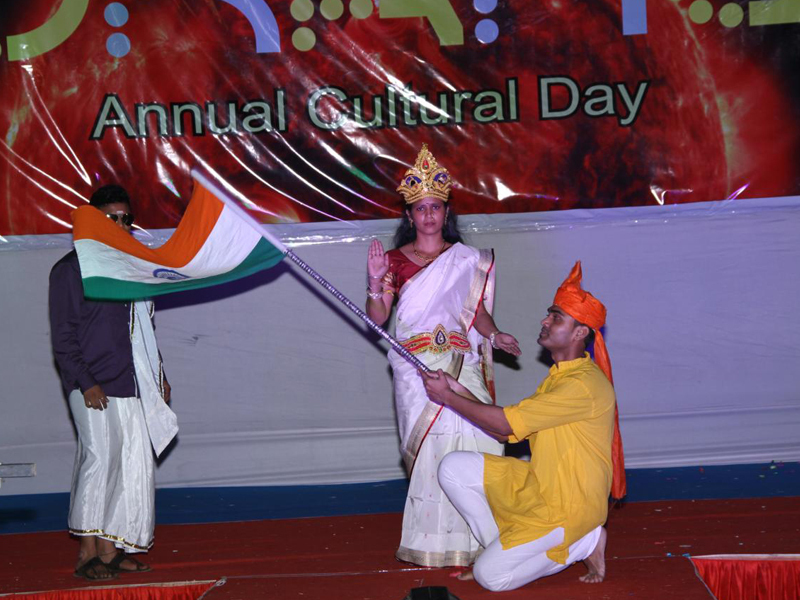 Gandhi Jayanti is a national festival celebrated in India to mark the birth anniversary of Mohandas Karamchand Gandhi born 2 October 1869. 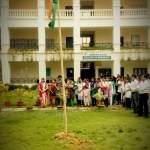 The UN General Assembly announced on 15 June 2007 that it adopted a resolution which declared that 2 October will be celebrated as the International Day of Non-Violence. 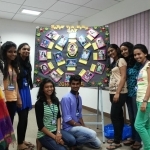 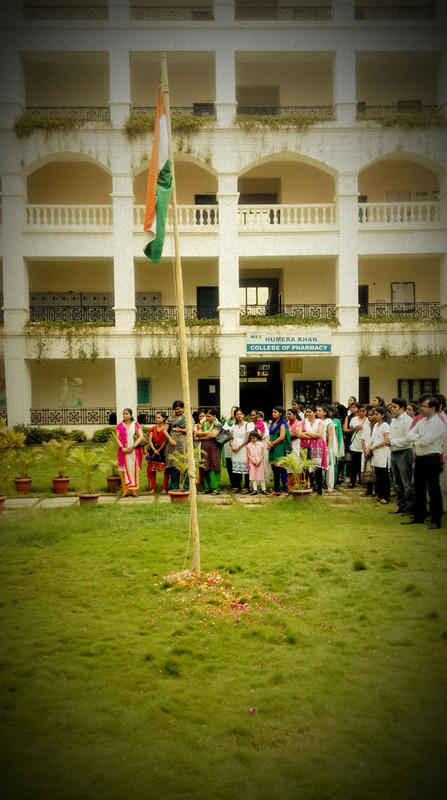 H. K. College of Pharmacy celebrated 149th Gandhi Jayanti with full of enthusiasm. 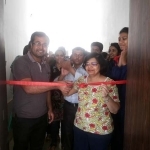 Event started with the welcome of the Principal madam Dr. Anubha Khale and Vise principal Dr. Mohammad Wais with all the faculty members. 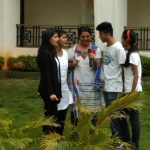 Students Shifaa Bora, Shanidev Jaiswal And Aayan Kazi have given speeches about great Mahatma Gandhi’s life events, his thoughts, his contribution towards the country for the freedom and also about six fundamental rights of Indian citizens as follows: (i) right to equality, (ii) right to freedom, (iii) right against exploitation, (iv) right to freedom of religion, (v) cultural and educational rights, and (vi) right to constitutional remedies. 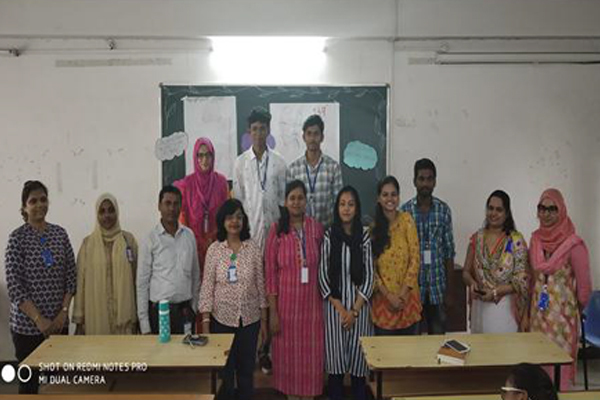 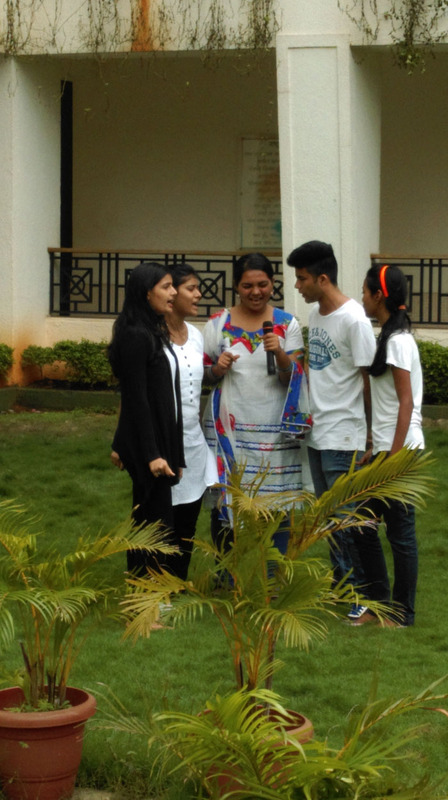 Students Samiksha Shetty, Ravikesh Prajapati, Arpita Shukla And Supriya Singh made creative posters of Mahatma gandhi and his thoughts lastly the Event ended with the feeling of patriotism. 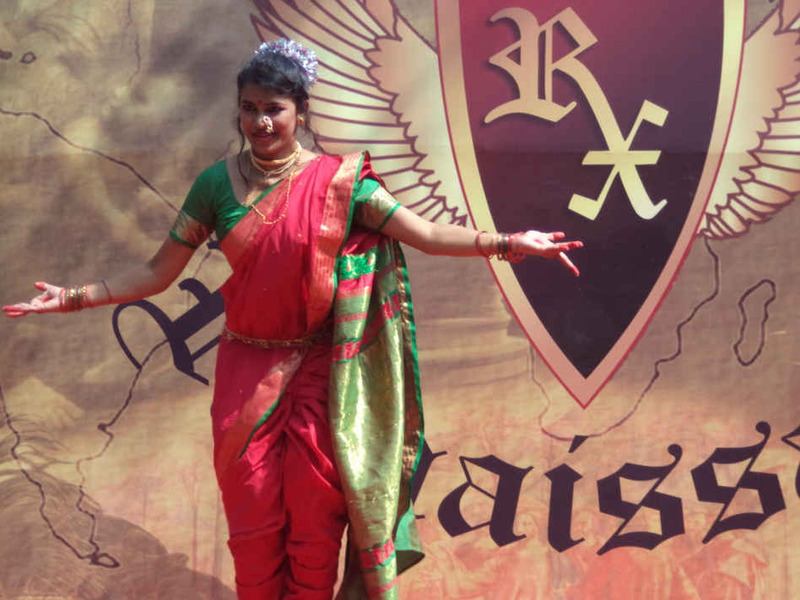 Gandhi’s favourite bhajan (Hindu devotional song), Raghupati Raghav Raja Ram, was sung in his memory. 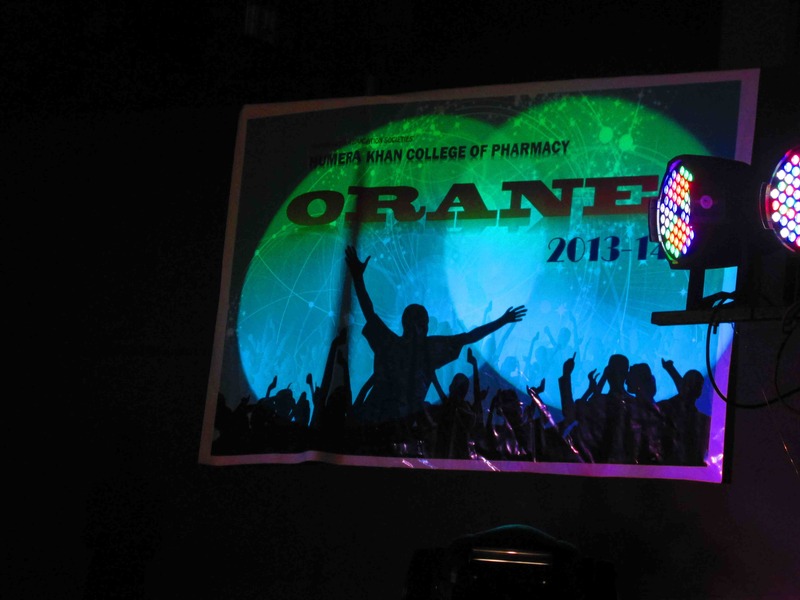 Freshers Party for First Year B. Pharm Students on 1st September 2018. 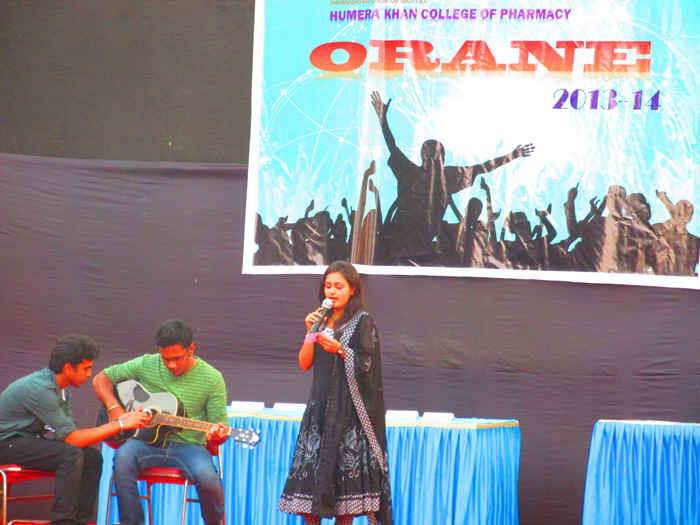 H.K college of pharmacy organized an astonishing Fresher’s party for the freshers on 1st September 2018. 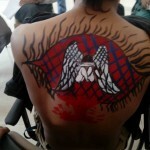 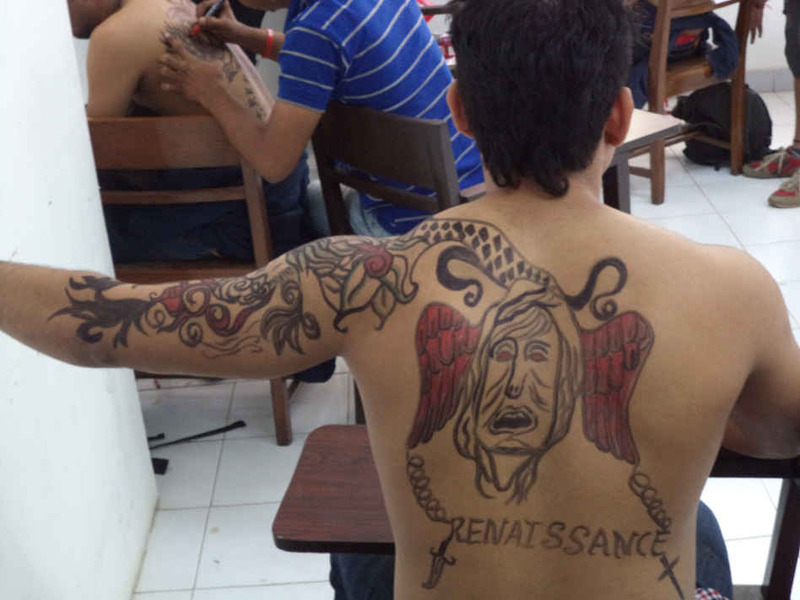 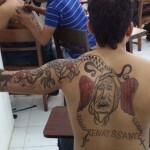 The theme of the party was “Saints & Sinners”. 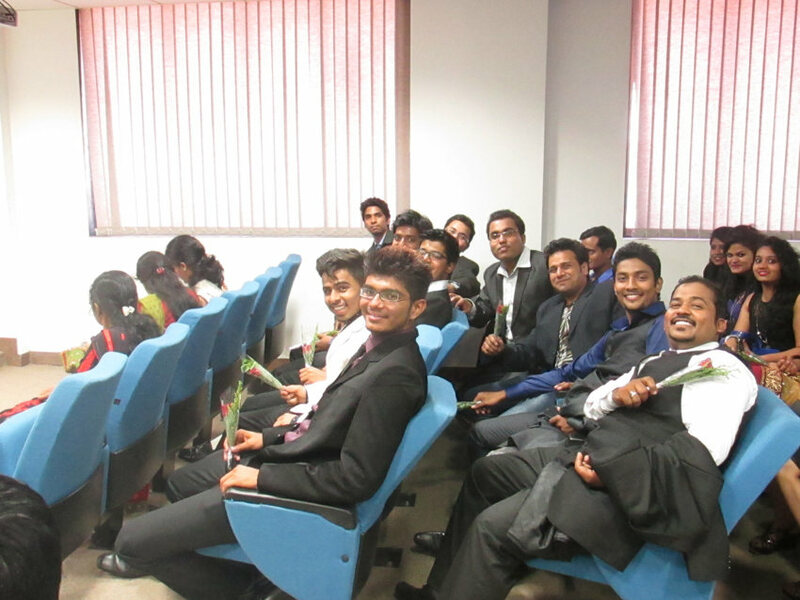 Students were elegantly dressed for the occasion. 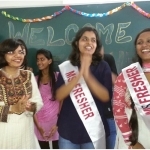 Jovial smiles and high spirit marked the welcome of the freshers. 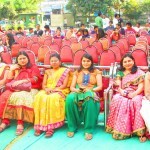 The party manifested youth & enthusiasm at its full flow. 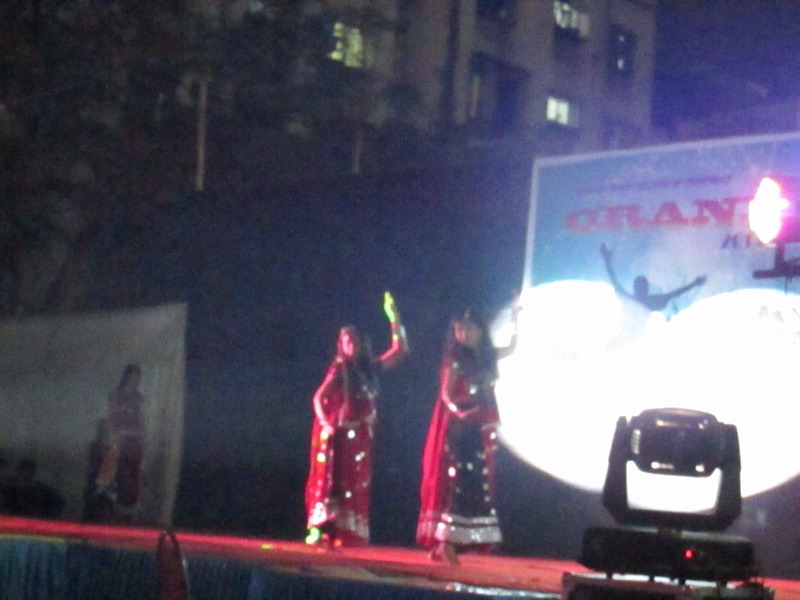 With pulsating ambience, and foot tapping music, the party started with calling of each fresher on the stage by hosts. 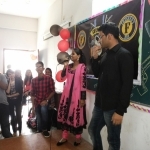 The freshers were asked to introduce themselves and reveal their talent to the other students and staff, while they were assessed by panel of judges. 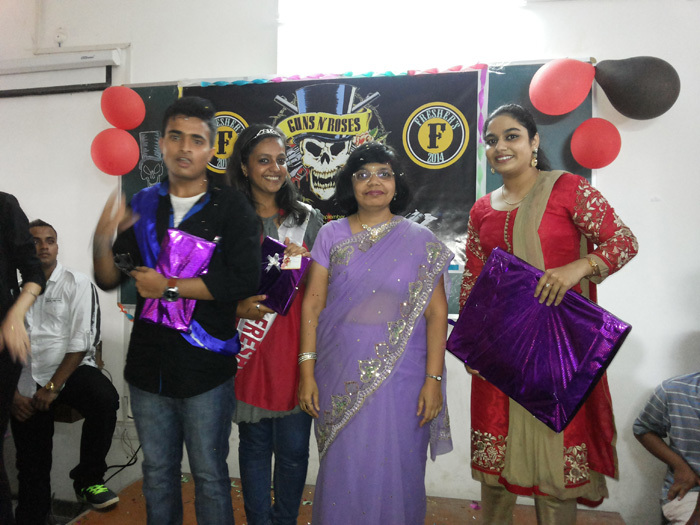 After fair assessment of all freshers, the judges crowned and awarded the following students. 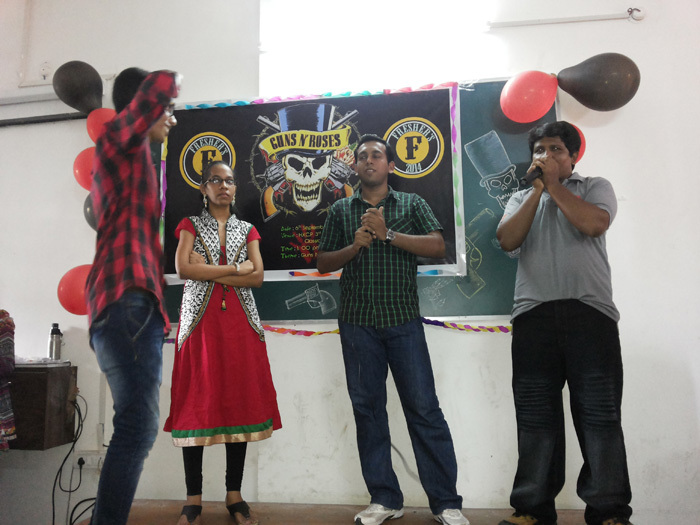 The audience were then directed towards food arrangement. 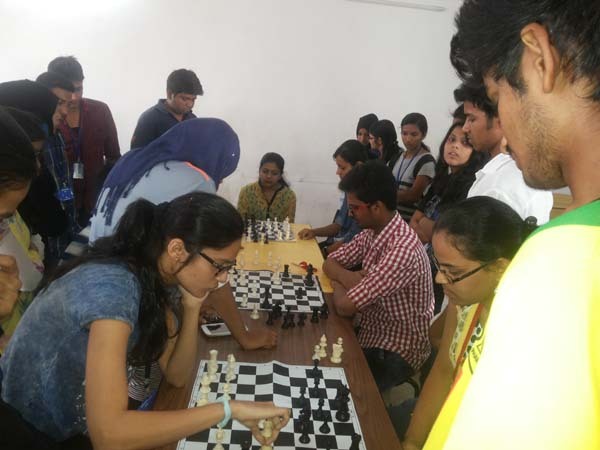 Lastly joy & happiness could be seen in the eyes of every student as they created a sense of the unity & togetherness while welcoming the freshers to the HKCP family. 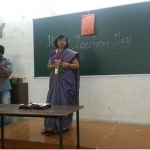 What is a teacher? 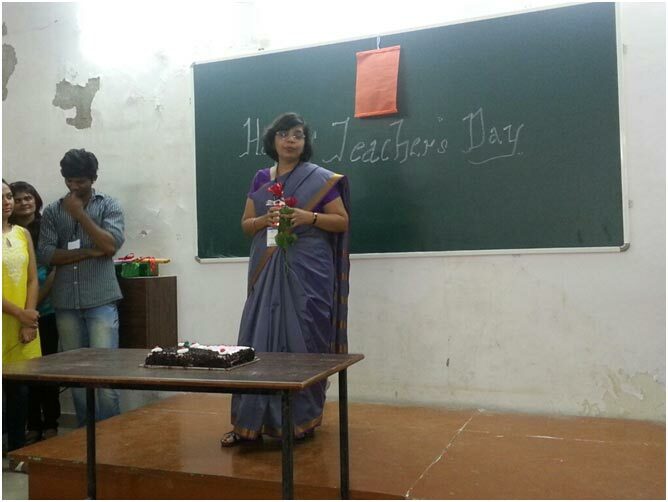 A teacher is someone who takes a hand, opens a mind, and touches a heart. 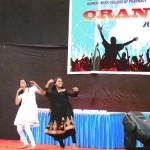 This 5th September, also otherwise known as Teachers Day began with an energy-filled enthusiastic celebration organized by the Student -Council for teachers. 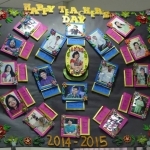 They surprised the entire staff with their eager decorations in both the staff room as well as the Principal’s office. 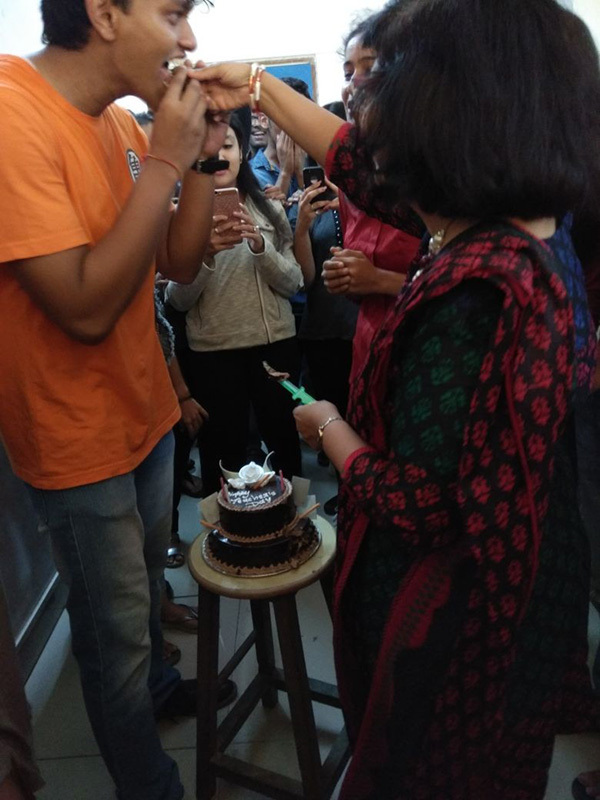 The students presented the teachers with a token of appreciation to thank them for all their hard work and dedication, then students cut a cake to celebrate the same. 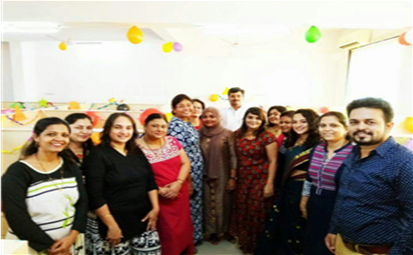 The teachers and students shared some wonderful moments together that captured the beautiful bond between a teacher and their students. 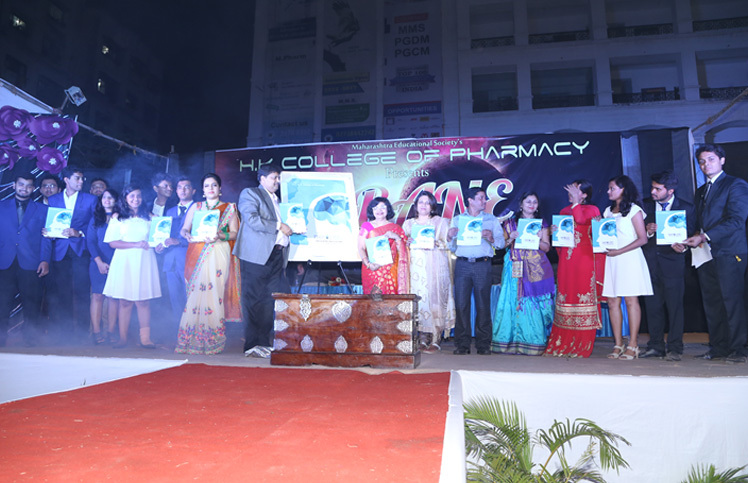 H.K college of pharmacy organized a marvelous Freshers’ party for the freshers on 4th September 2017. 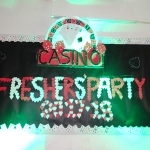 The theme of the party was Casino Royale, the students were elegantly dressed for the occasion. 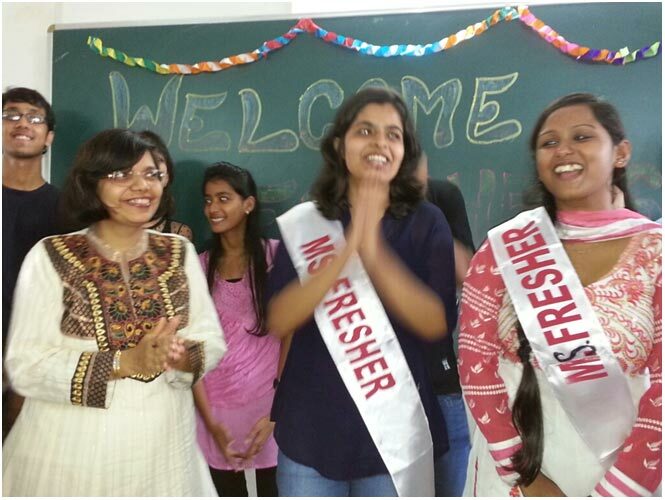 Jovial smiles and high spirit marked the welcome of the freshers. 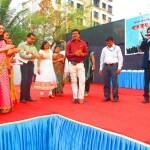 The party manifested youth & enthusiasm at its full flow. 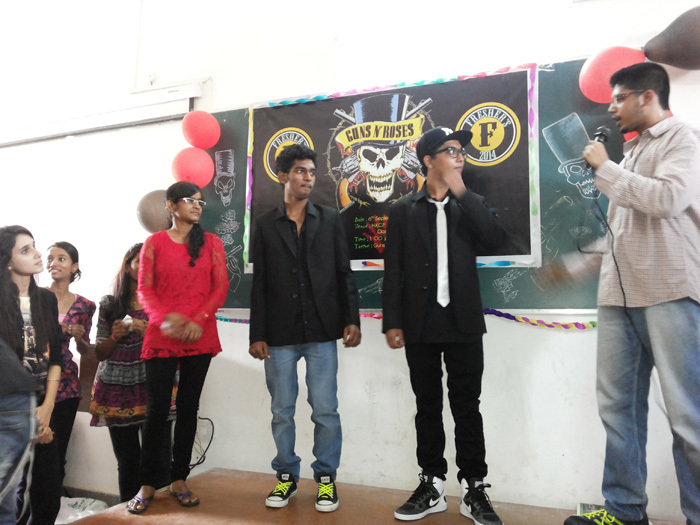 With pulsating ambience, and foot tapping music, the party started with calling of each fresher on the stage by hosts. 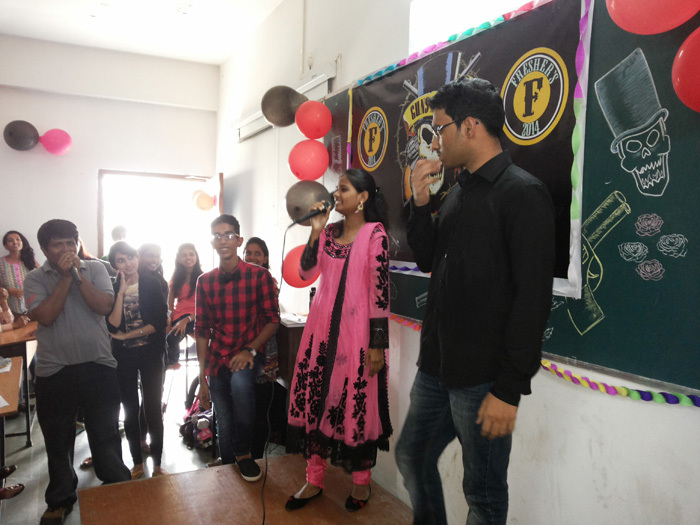 The freshers were asked to introduce themselves and reveal their talent to the other students and staff, while they were assessed by panel of judges. 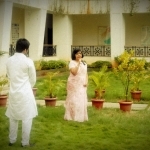 After that the audience was directed towards food arrangement. 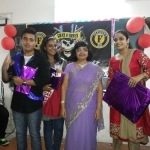 Lastly the DJ party started, joy & happiness could be seen in the eyes of every student as they created a sense of the unity & togetherness while welcoming the freshers to the HKCP family. 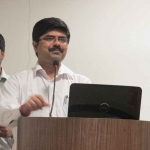 Managing Director Pell Tech, Health Care Pvt. 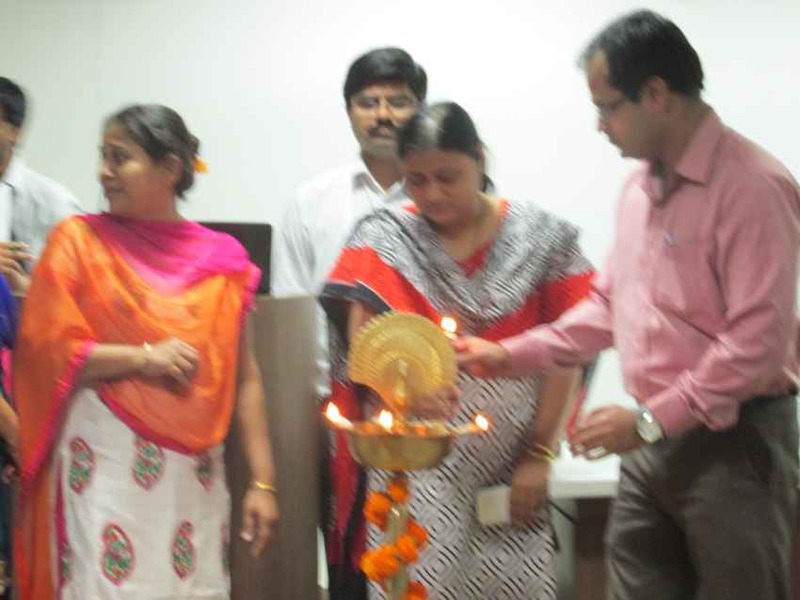 Ltd.
Director Commercial Pell Tech, Health Care Pvt. 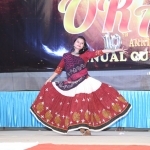 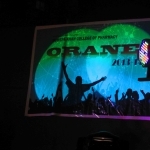 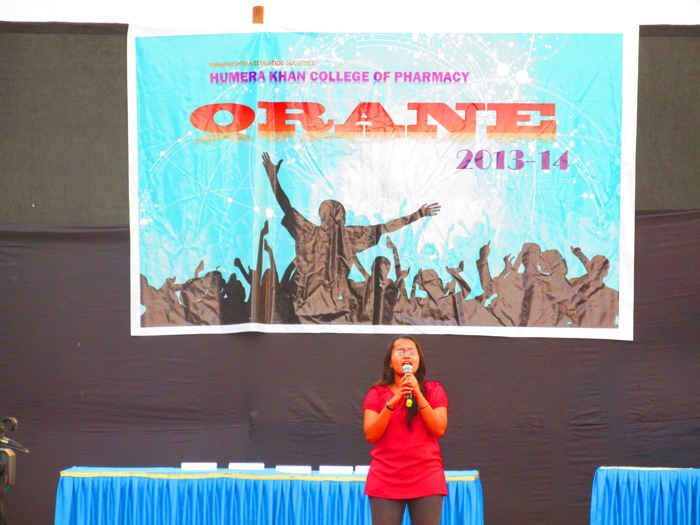 Ltd.
H. K. College of pharmacy celebrated its 10th Annual Day ‘Orane’, with great enthusiasm. 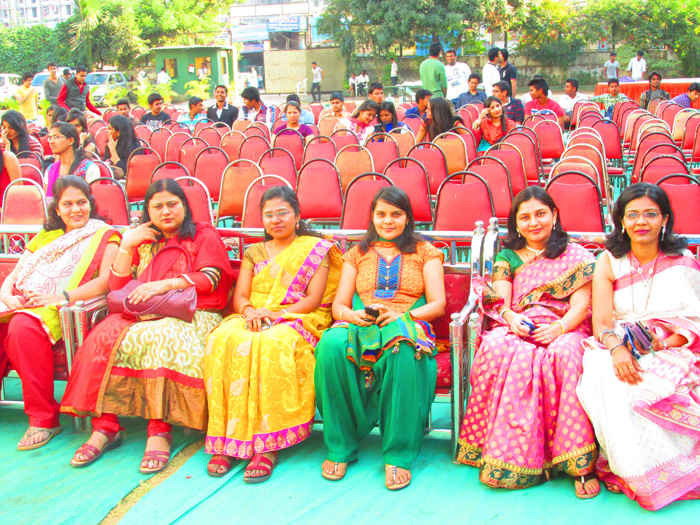 The ambience was filled with joy and excitement. 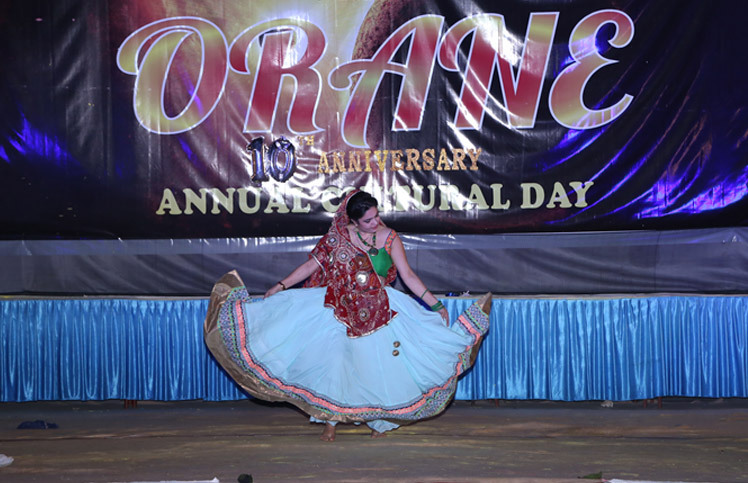 The event started at 5:30 pm with a melodious round of singing and dance competition, witnessing participants from all the four years. 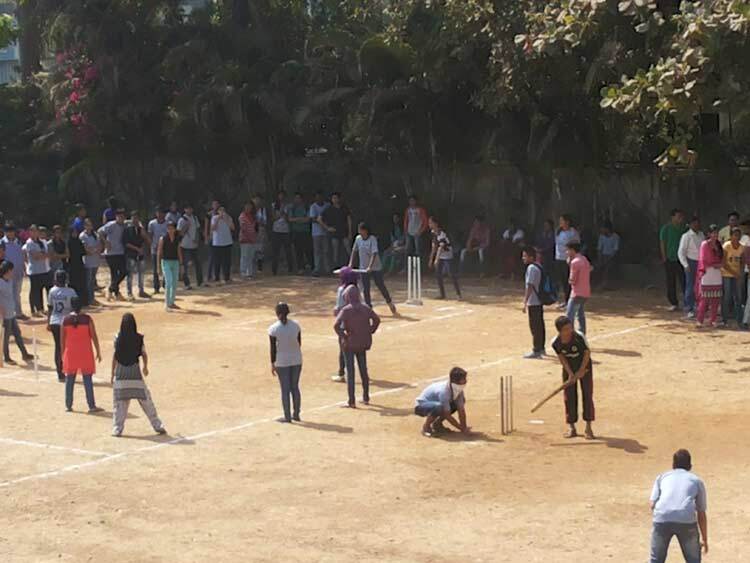 Many parents as well as the alumni of HKCP joined the crowd cheering for the students and had good time. 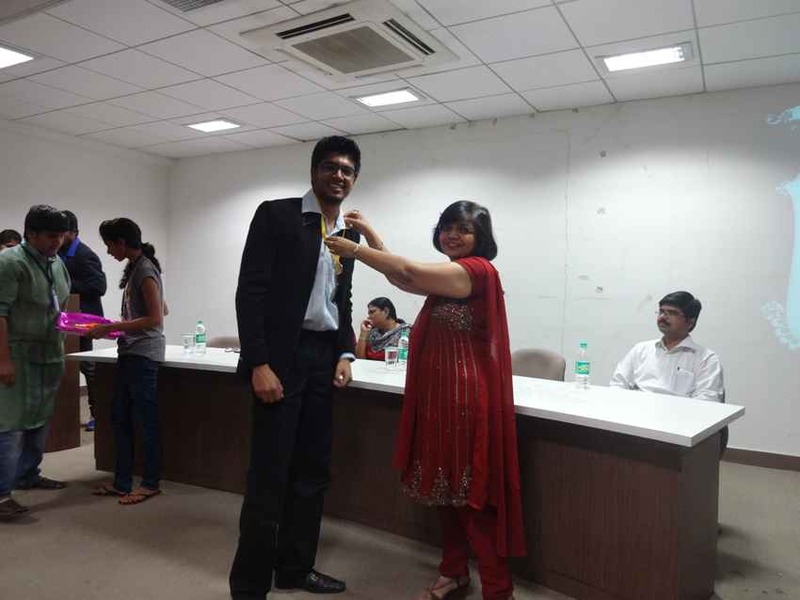 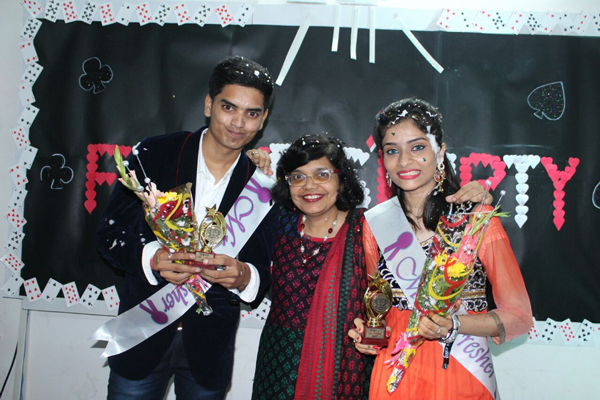 Mr. Dharmesh Shah (Chief Guest) and Mrs. Neepa Shah (Guest of Honor) graced the occasion by their presence. 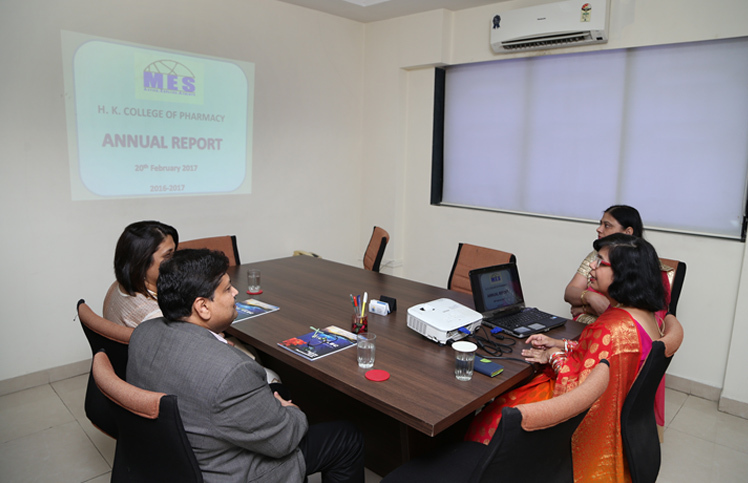 The annual report for the academic year 2016-17 was presented by Principal, Dr. Anubha Khale. 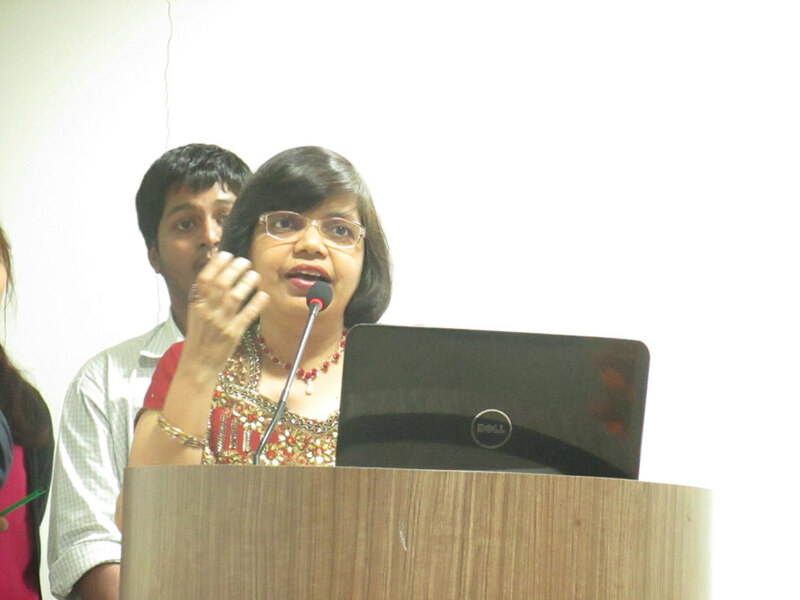 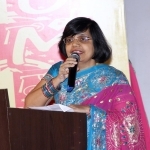 Principal, Dr. Anubha Khale addressed the crowd with her inspiring speech. 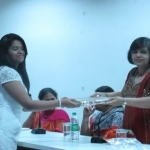 Introduction of the Chief Guest and Guest of Honor was given by Mrs. Hema Kanekar and Dr. Anagha Raut respectively. 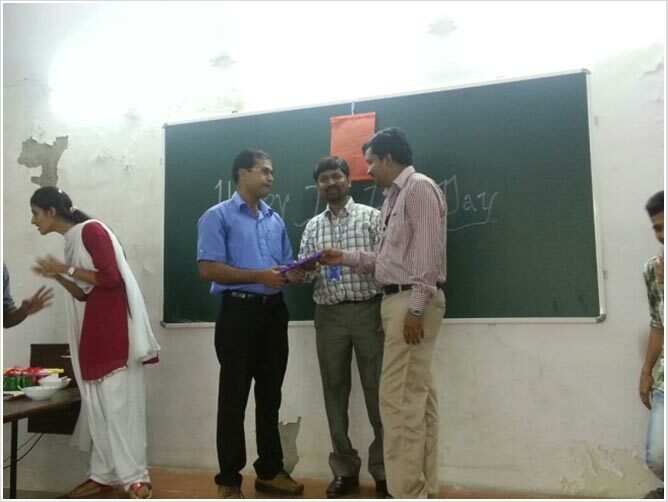 Felicitation was done by giving floral bouquet and momento by the Principal. 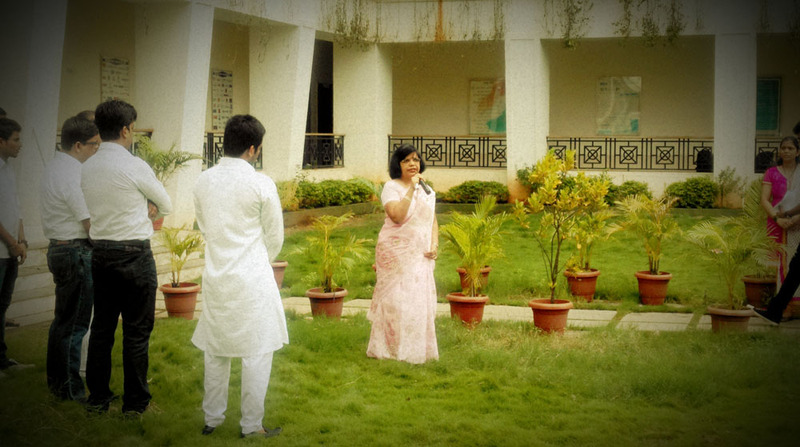 The Chief Guest and the Guest of Honors shared a few words of experiences with the students. 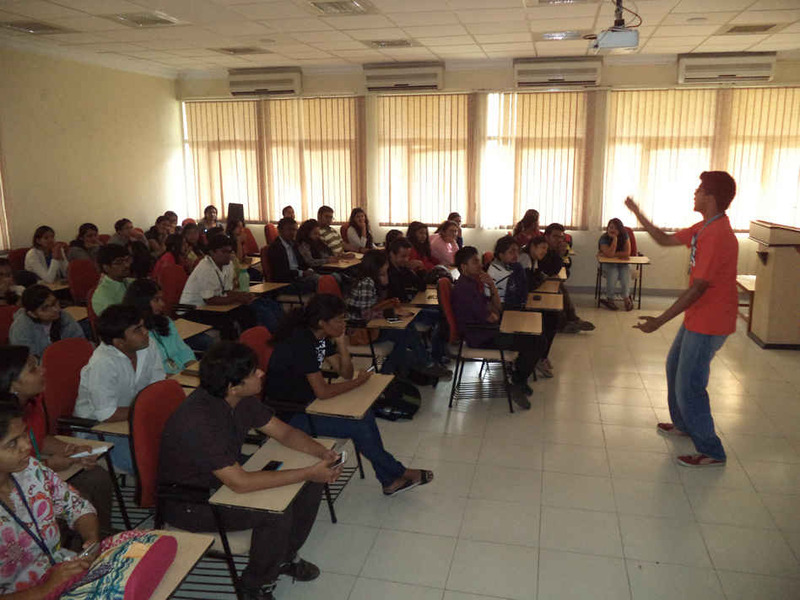 All the students were enlightened with their motivational words. 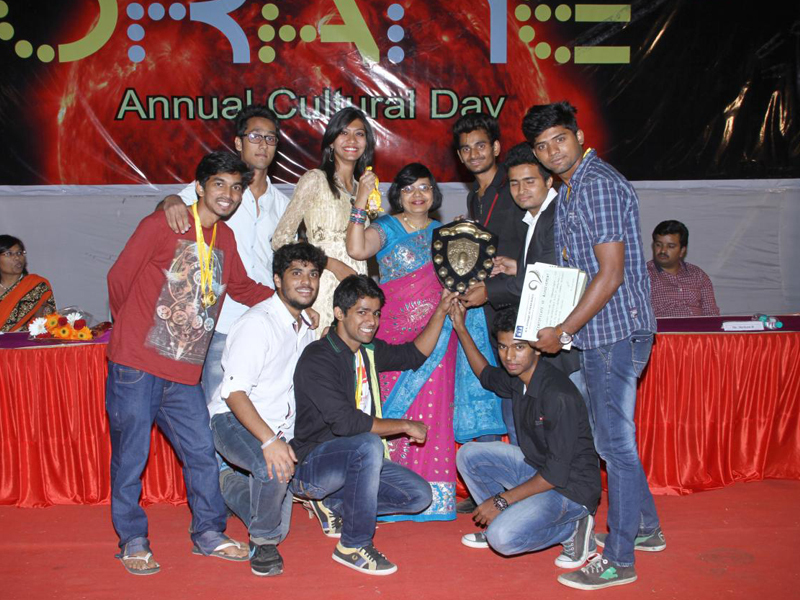 The prize distribution ceremony was done by giving trophies, medals, and certificates. 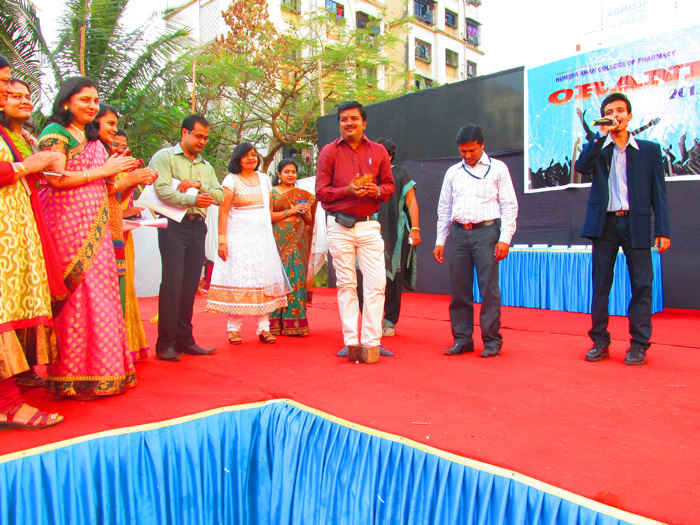 Inauguration of College magazine was followed prize distribution. 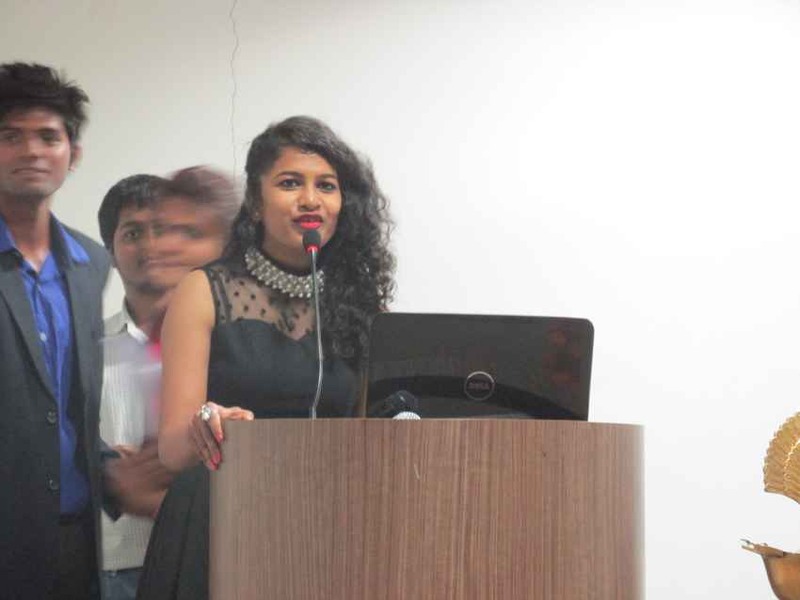 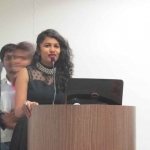 Student of Magazine committee Ms. Shikha Agarwal and Faculty Ms. Sheetal Choudhary had given overview of ‘Impulse 17’. 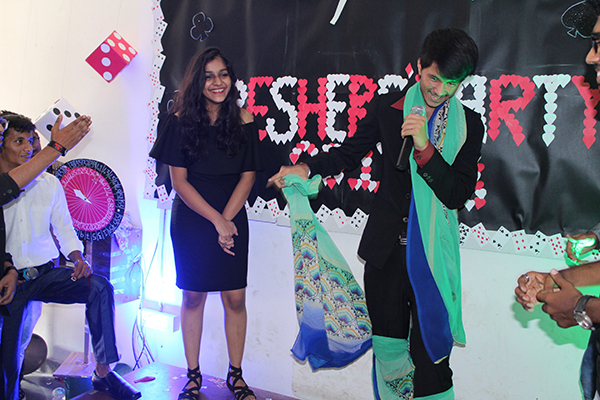 The 7th edition of college magazine ‘Impulse 17’ was inaugurated by Chief guest, Guest of Honor, Principal and magazine committee members of the institute. 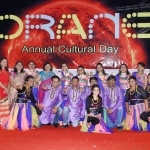 The cultural events like solo dance, group dance, duet dance, singing etc. 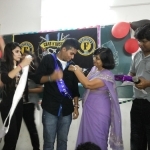 were performed efficiently by the students of all years which greatly enthused the arriving parents. 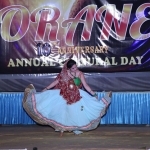 The program was concluded at 10.00 pm. 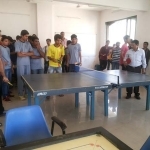 which was a grand success due to a hard work of council committee, other students, Principal, Teaching and Non-teaching students. 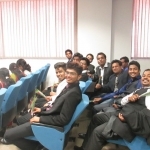 And everyone proceeded for delicious food with bright smile on face. 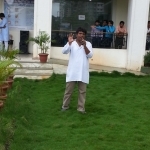 H.K. 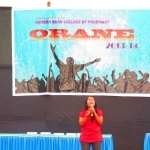 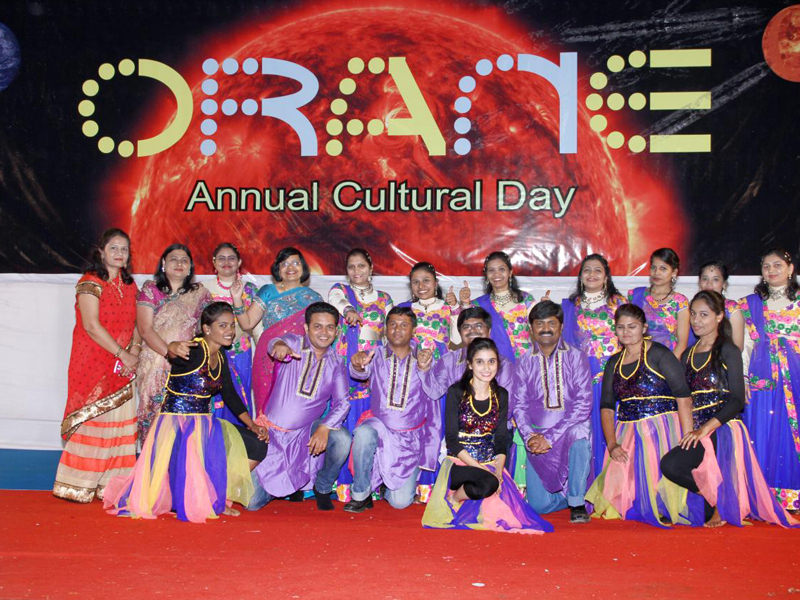 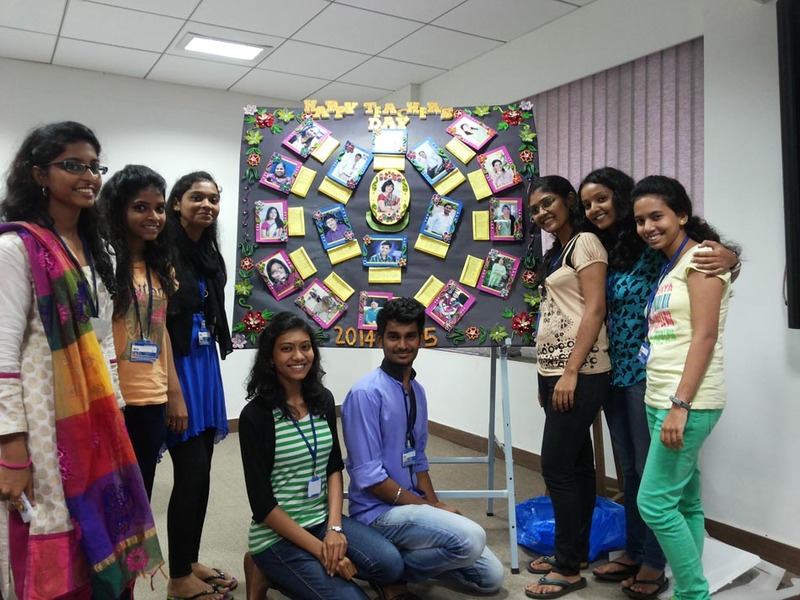 College of Pharmacy celebrated annual day ‘ORANE-2015’ on 25th February 2015 at the College campus. 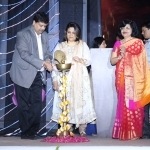 The program began with lighting the lamp followed by the felicitation of the Chief guest and Guest of honor with bouquet of flowers. 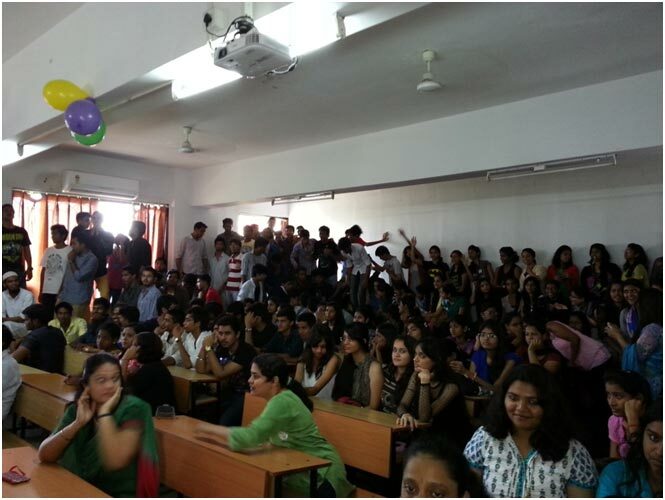 Welcome speech was given by the Principal Dr.Anubha Khale followed by the academic report of the college in the year 2014-2015. 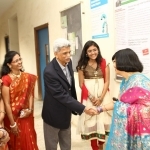 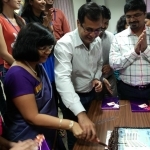 The Chief Guest was Dr. Nandkumar Chodankar, CEO of A. 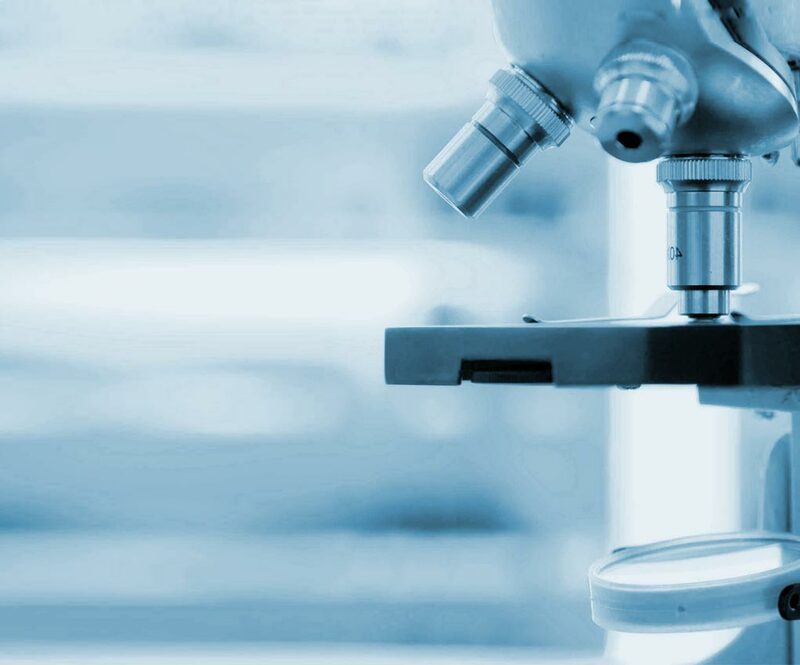 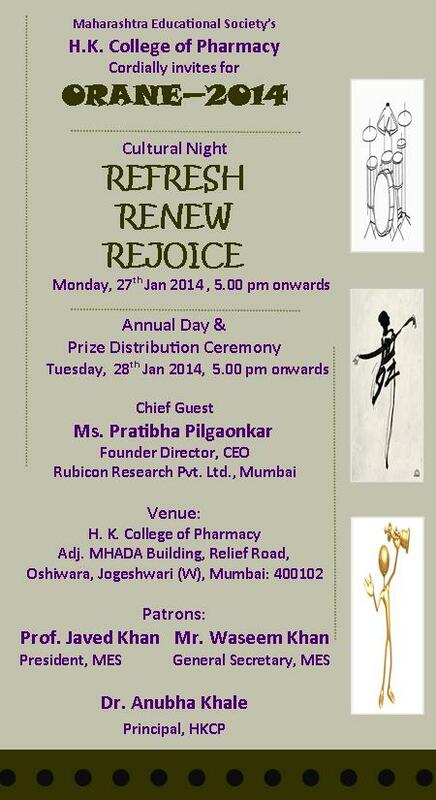 Solutions Pharmaceuticals Pvt. 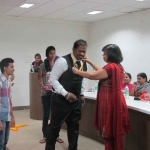 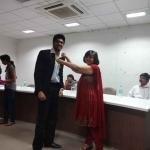 Ltd and the Guest of Honors was Dr. Kaleem Khan, Trustee of Maharashtra Education Society. 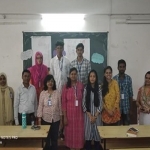 They shared a few words of wisdom with the students after which the Prize distribution ceremony was held in which students were given medals and certificates for their achievements in academics and at various intercollege events. 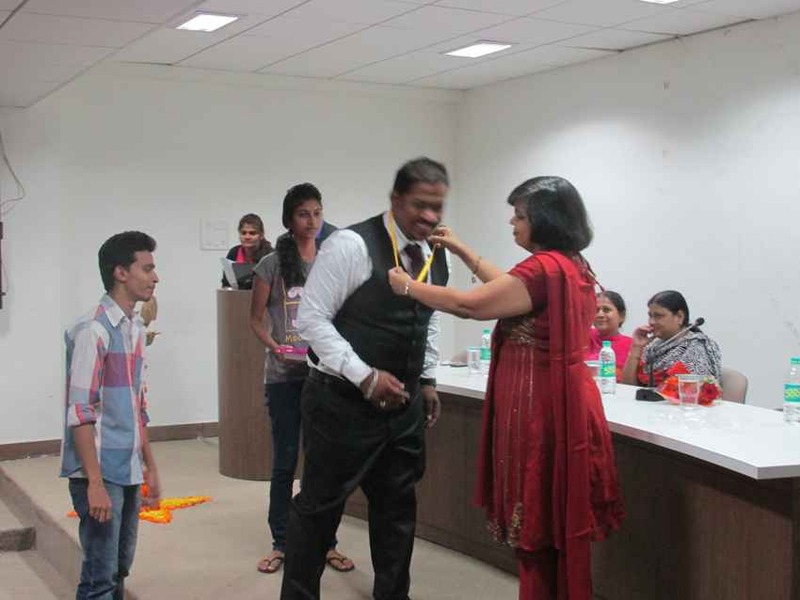 The council members were felicitated for their contribution in respective fields. 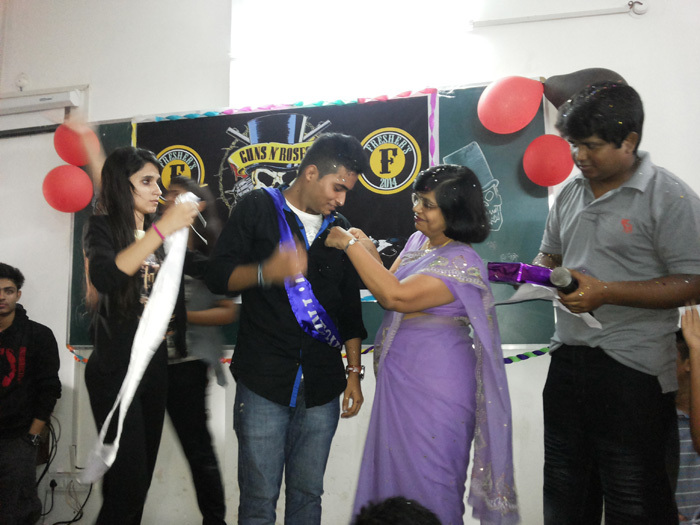 An extravagant ceremony was held to launch the College magazine ‘IMPULSE’. 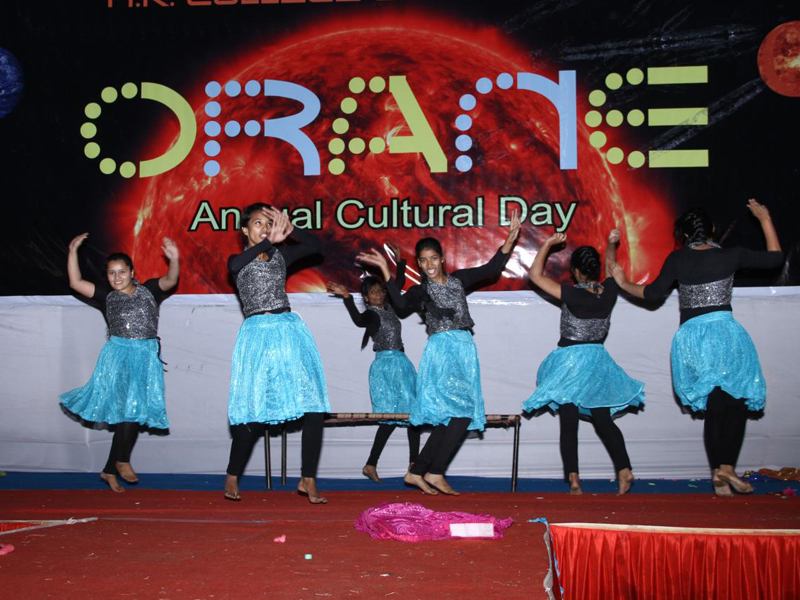 Superb performances were showcased by students in cultural events like fashion show, solo dance, group dance, duet dance, singing etc. 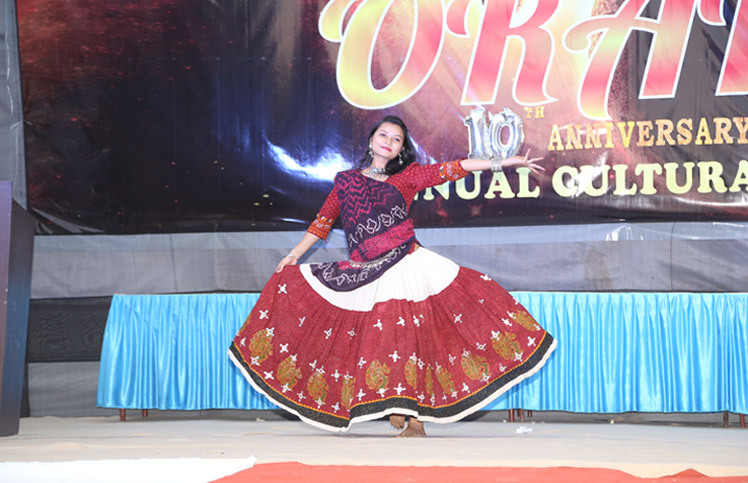 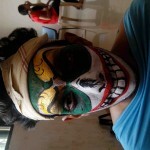 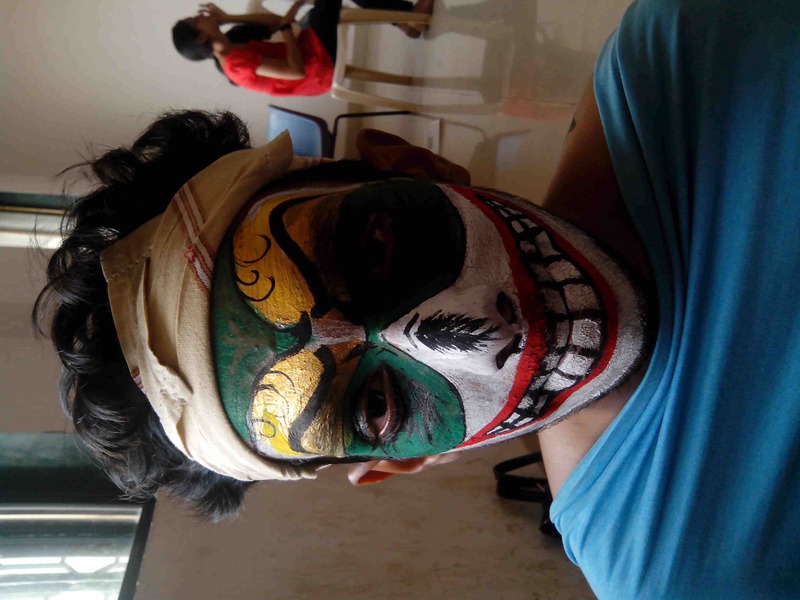 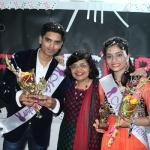 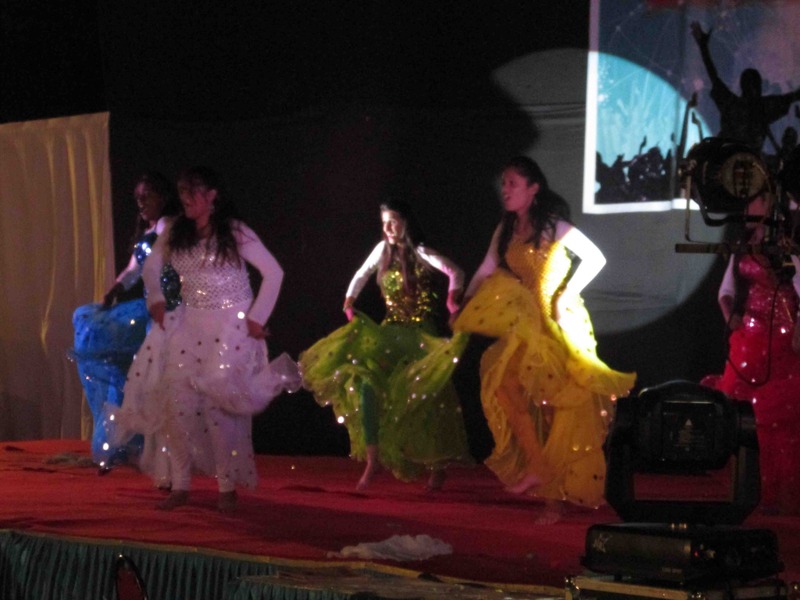 This year saw the participation of faculty members in dance, song and fashion show. 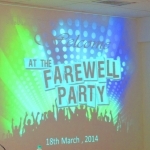 The evening came to a close with a vote of thanks and the crowd proceeding for dinner. 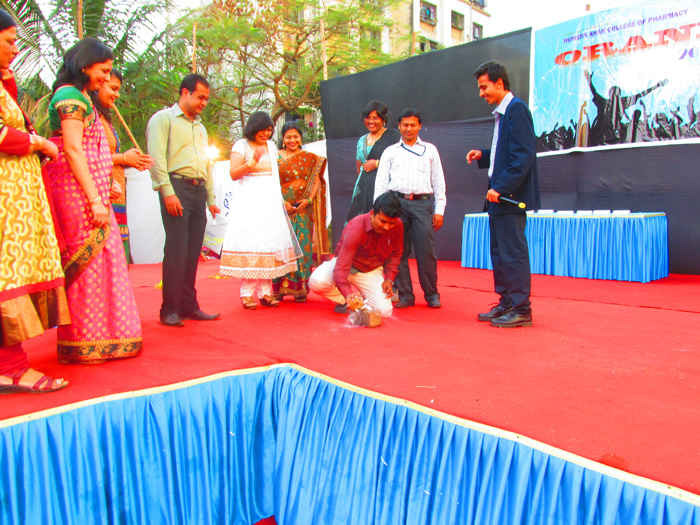 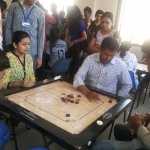 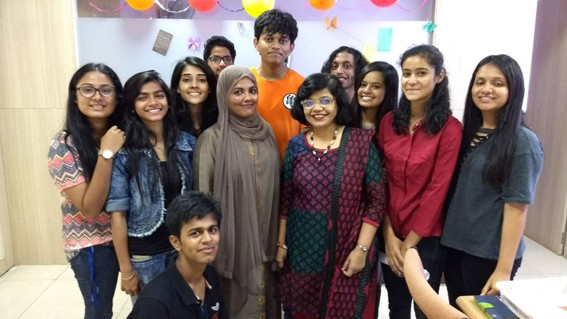 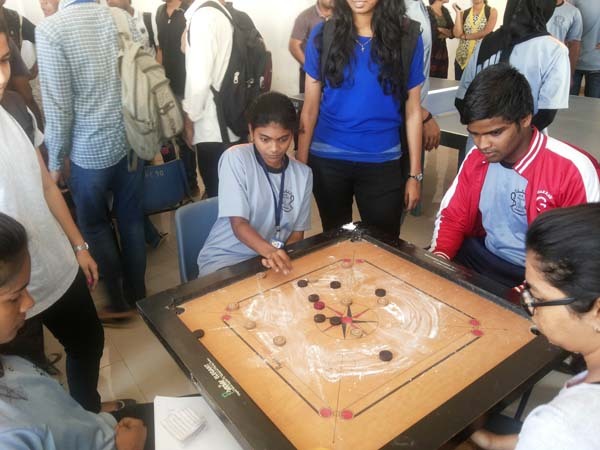 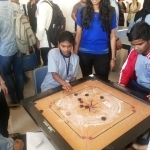 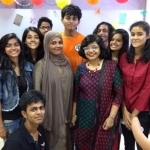 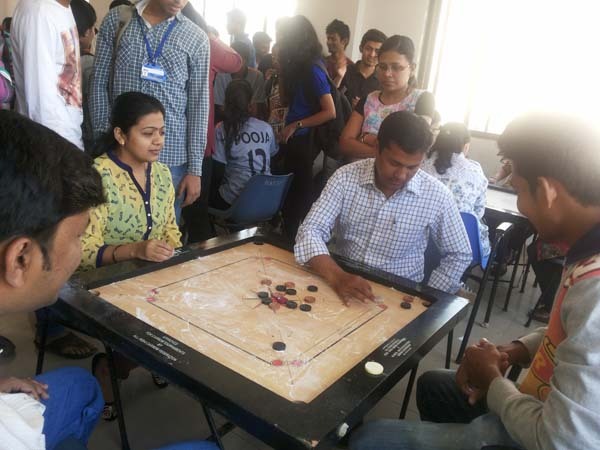 The event was a grand success due to the efforts taken by the teaching and non-teaching staff and students. 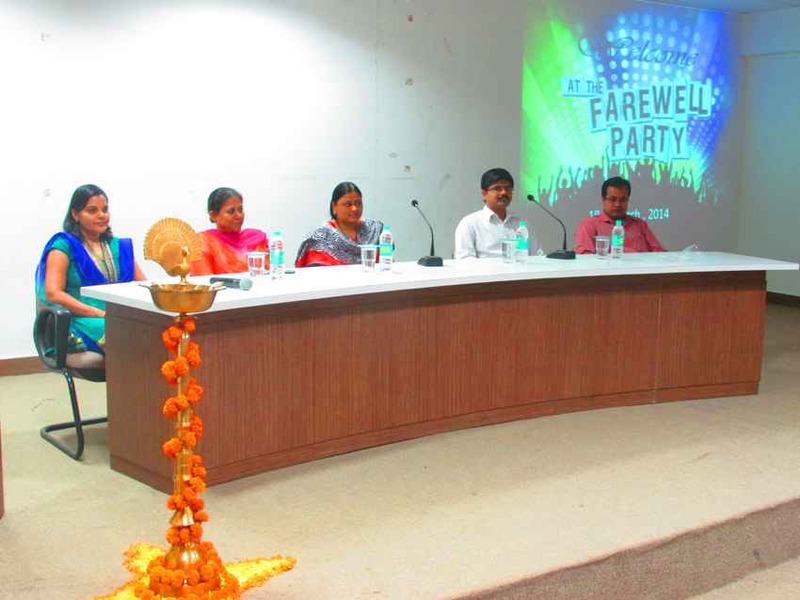 Farewell parties are arranged every year. 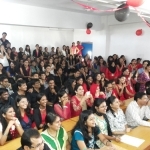 The meeting and departing are two sides of a coin in human life but farewell at the last junction in the college expresses emotional attachment the college have with its students. 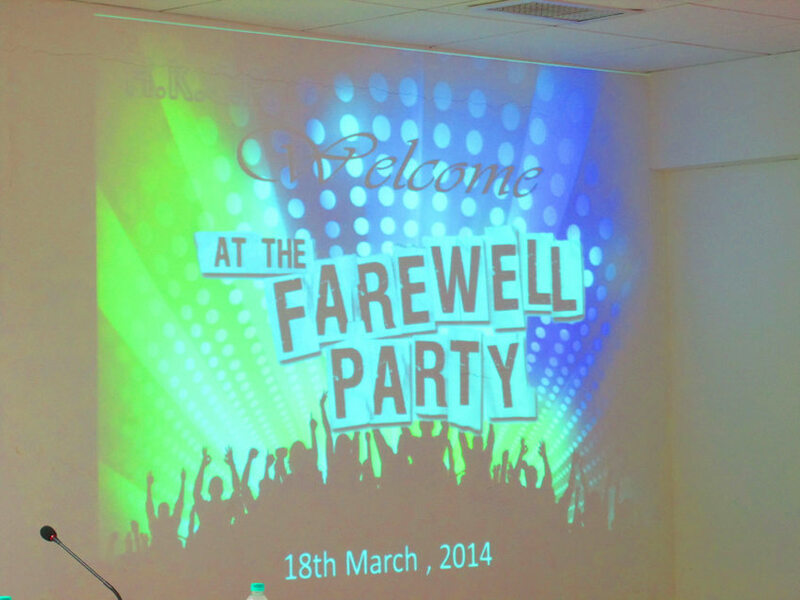 Farewell parties are held to say goodbye and pray to god for their good future. 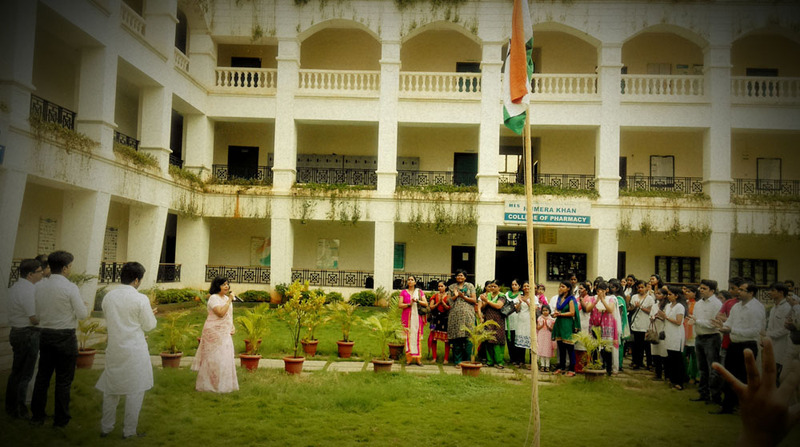 In the French we say adieu when we say goodbye to anyone and thus we bid adieu to the separating students. 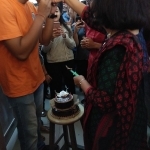 Basically it is good mix of two emotions. 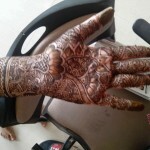 Sorrow as they are separating and satisfaction that they would soon start their life afresh. 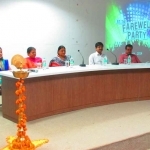 The formal function started with lighting of lamp, followed by speech by principal madam and teachers. 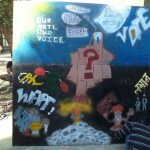 Students too shared their feelings for college & teachers. 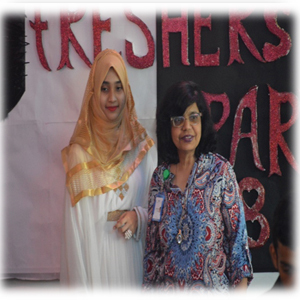 A few tears, a few smiles, some tight hugs, some photographs, some sad goodbyes and promises to stay friends forever… these are the essential ingredients of the perfect farewell. 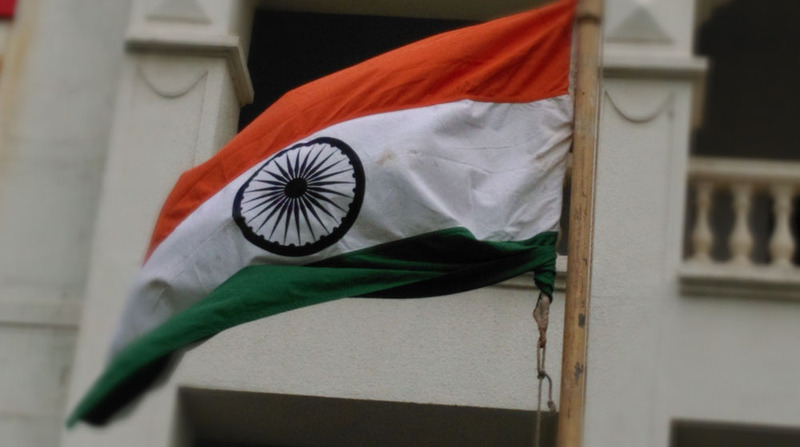 And ours too is no different. 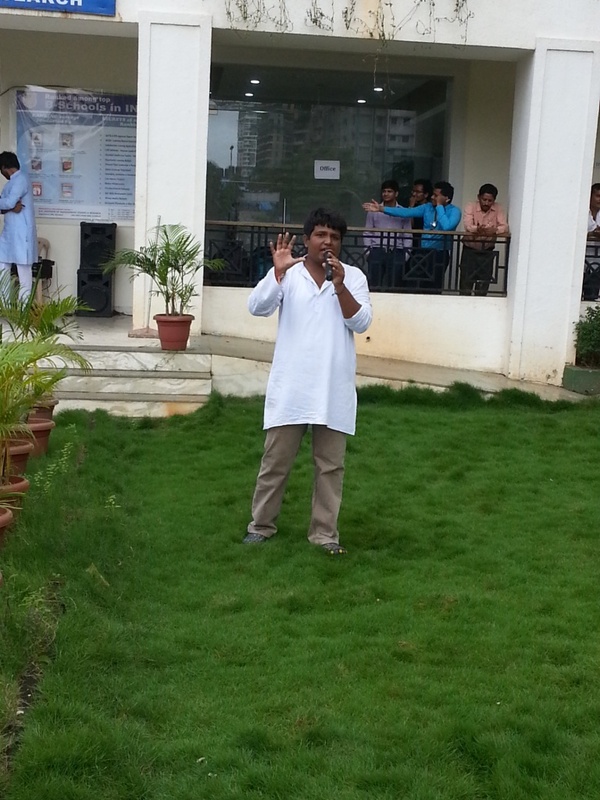 H.K. 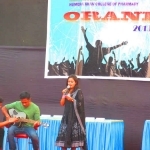 College of Pharmacy celebrated annual day on 28th January 2014 in a magnificent way at the college’s campus. 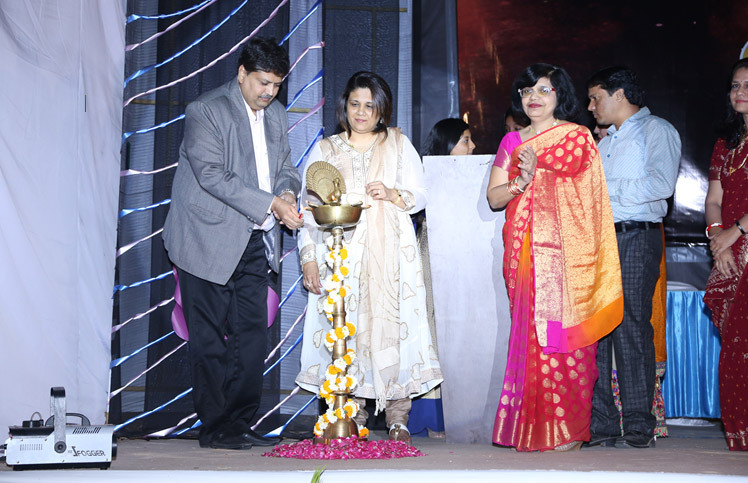 The program began with lighting the lamp followed by the felicitation of the Chief Guest Ms. Pratibha Pilgaonkar, Guest of honor Mrs. Surekha Naik & Mr. Shailesh Gosavi. 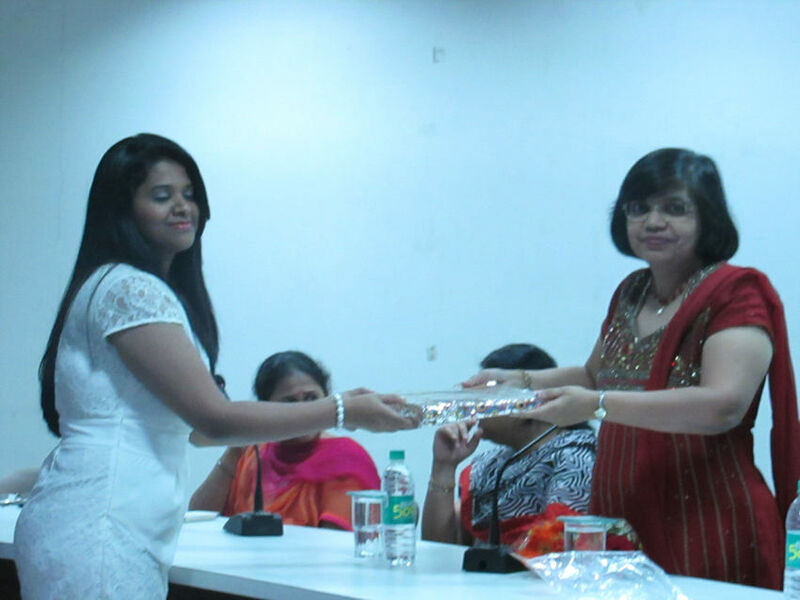 A welcome speech was given by the Principal Dr. Anubha Khale followed by the academic report of the college in the year 2013-2014. 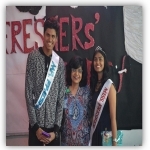 The Chief Guest and the Guest of Honors shared a few words of wisdom followed by the Prize distribution ceremony in which students were awarded for their achievements in academics and at various inter-college events. 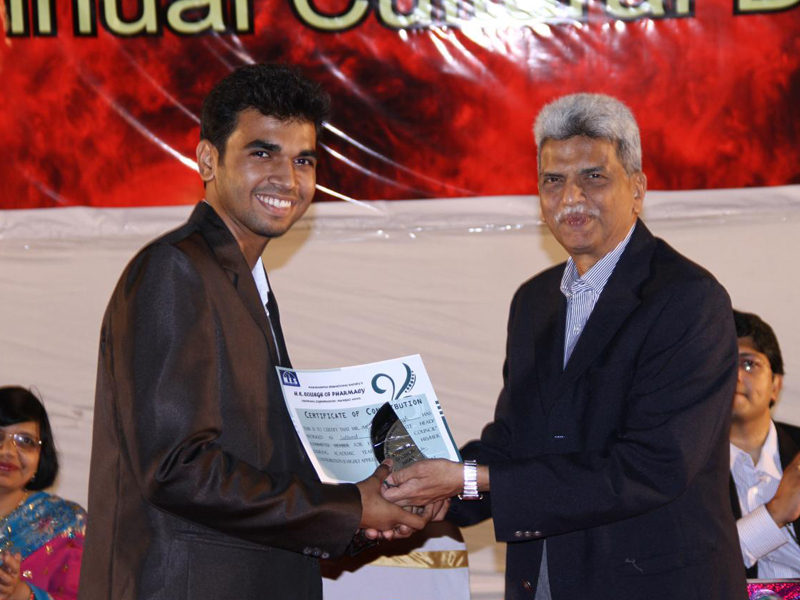 Special awards like Best student, Best Designer and Best Scientist awards were given to the students to appreciate their talent and hard work. 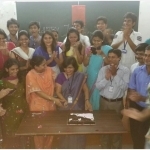 A ceremony was held to launch the College magazine ‘IMPULSE’. 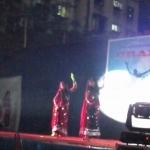 The cultural events like fashion show, solo dance, group dance, duet dance, singing etc. 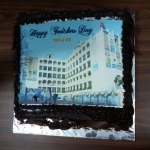 were performed efficiently by the students of all years which greatly enthused the arriving parents. 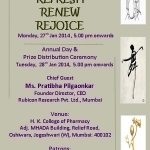 The evening ended with a vote of thanks and the crowd proceeding for dinner. 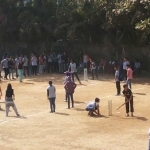 No effort was spared by the teachers and students of H.K. 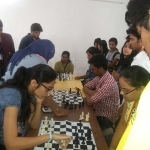 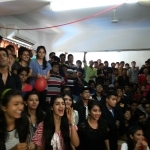 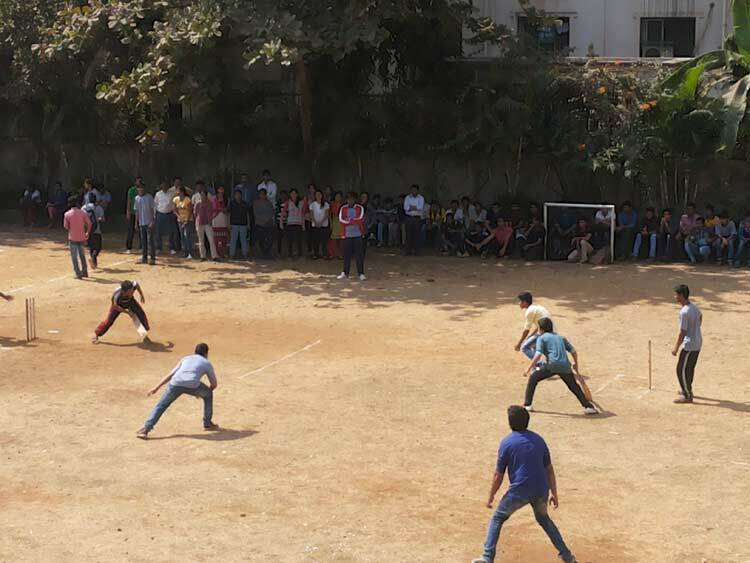 College in making this event a grand success and the result spoke for itself. 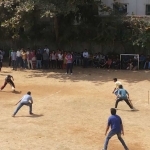 Victorious treat at Intercollegiate Rx Sports event. 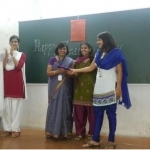 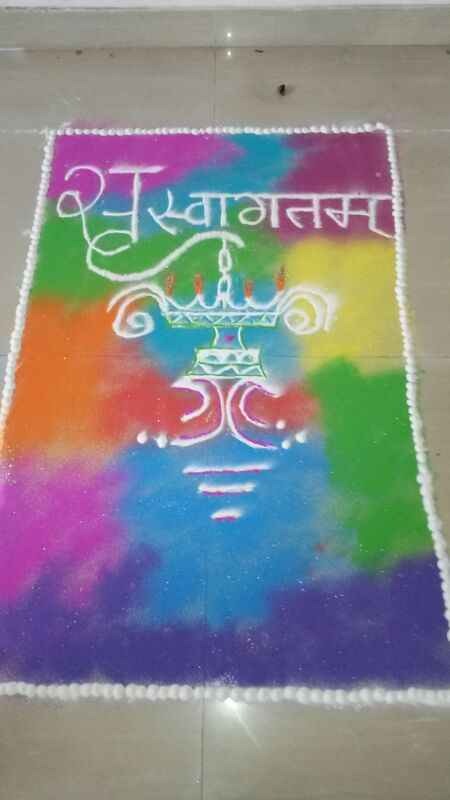 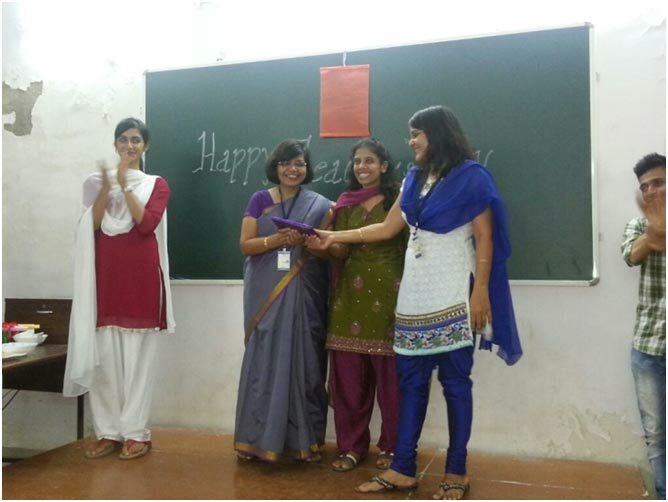 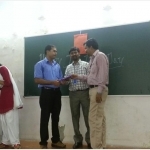 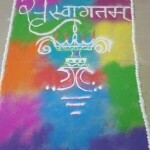 5th September was celebrated with great enthusiasm devoting the day to the beloved teachers. 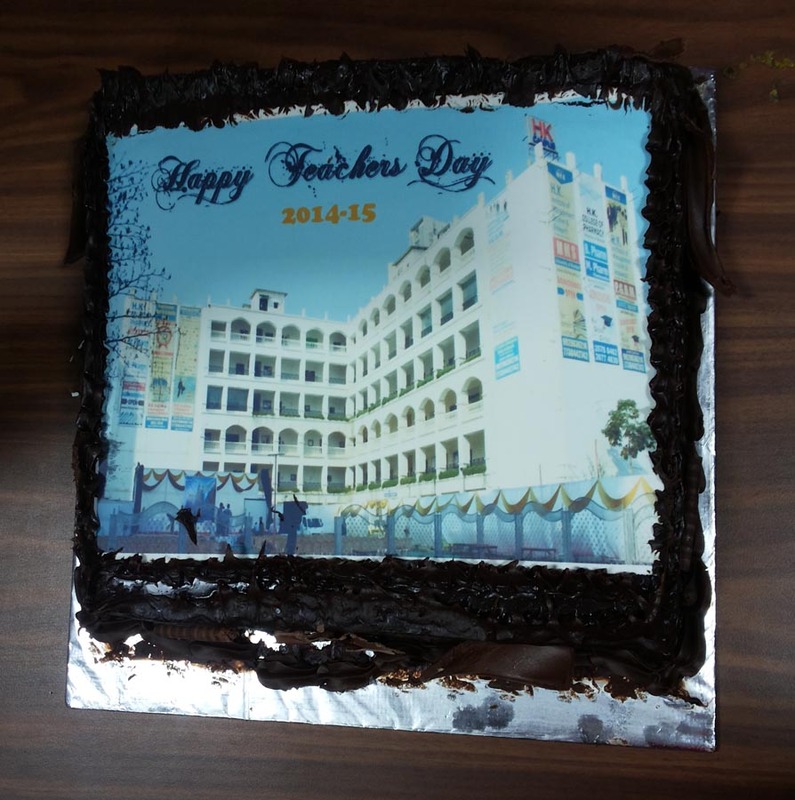 On occasion of Teacher’s day the teachers were requested to lay off and the responsibility of teaching was taken up by the students of B.Pharm. 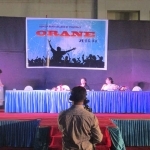 Later in the day, in a small program organized by the students, the teachers were invited upon the stage to share their experience as students. 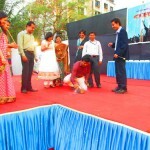 An enactment of how teachers play an important part in every one of our lives delighted the hearts even more. 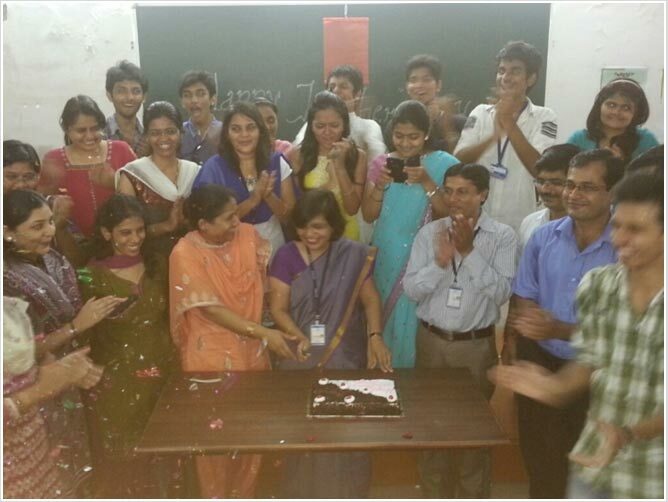 It was a light hearted day marking stronger bonds between the students and the teachers. 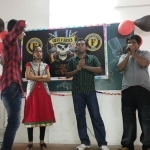 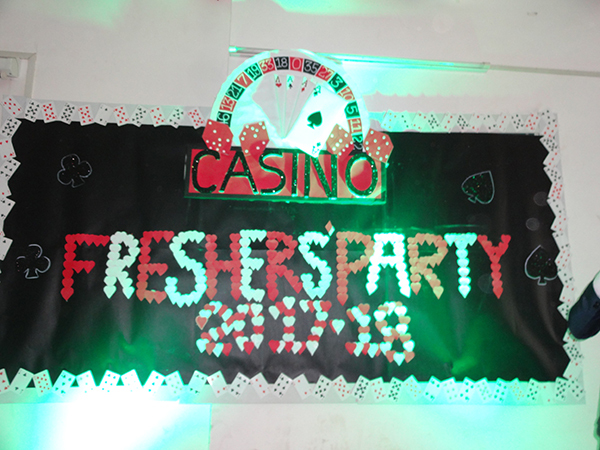 A sumptuous fresher’s welcome party was organized for the batch of 2013-2017 on 7th of September, 2013 at the H.K. 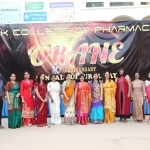 College of Pharmacy. 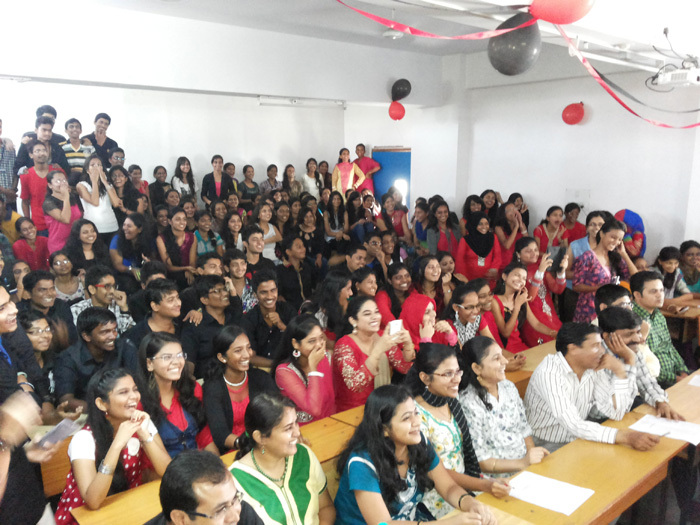 Jovial smiles and high spirits marked the opening of the FRESHERS 2013. 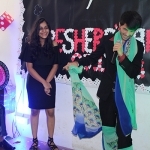 The first event of the day was the introduction session of every fresher present, followed by a question-answer round which decided the Mr. and Miss Fresher of 2013. 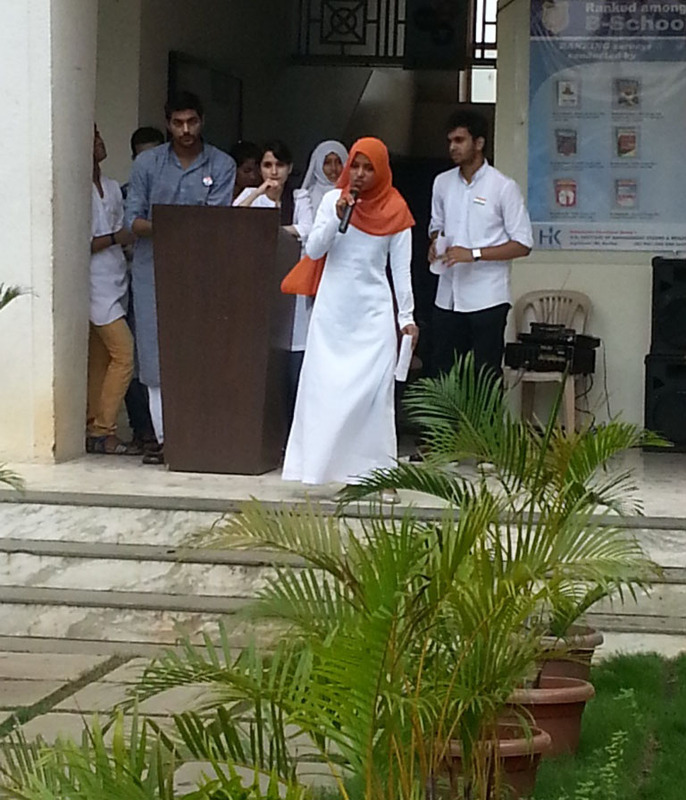 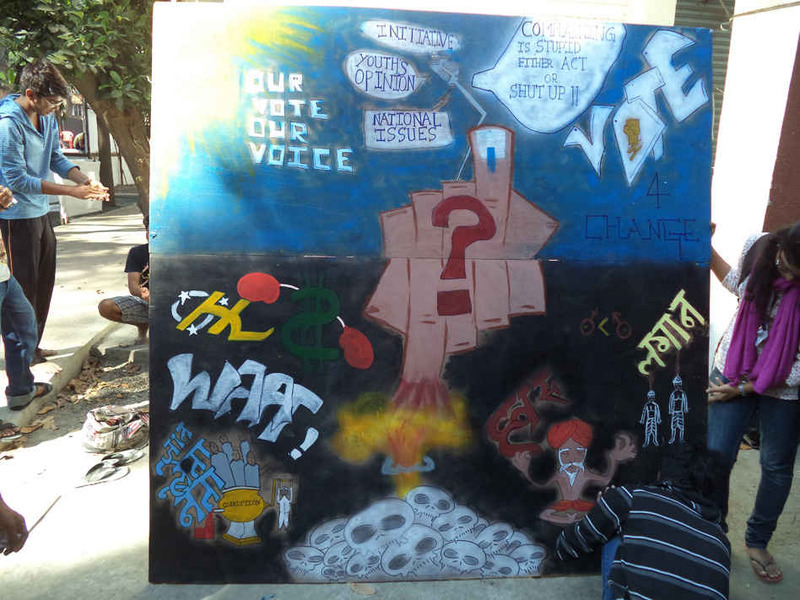 However, the main motto of the party was making every fresher feel that he/she is an integral part of the College. 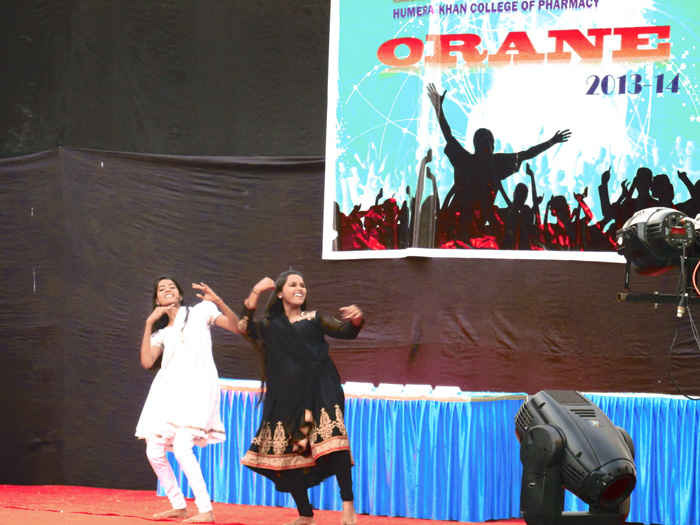 Later in the day the students including the fresher’s danced away to foot-tapping peppy tunes and marked an amicable beginning at HKCP.